As a welcome to the Elemental Impact (Ei) Era of Regeneration, the Ei site relaunched with a refreshed design featuring Ei Founder Holly Elmore's photography images. An updated navigation reflects the current focus on the Soil Health | Regenerative Agriculture, Water Use | Toxicity, and Product Stewardship platforms. Ei endeavors considered complete via a sale, term expiration or simply mission accomplished are thoroughly documented in the Mission Accomplished section. From the February 2009 Zero Waste Zones (ZWZ) launch through June 2017, Ei lived the Ei tagline Sustainability in ACTION during the Ei Era of Recycling Refinement (RR). Ei Magazine articles related to each page's topic are listed on a sidebar. For meetings, tours, and conference presentations, the respective PPT presentations are available for download. Additionally, the Ei Milestones page is a monthly detail of prominent activities from the ZWZ launch to the current month, along with links to relevant website pages, magazine articles and other pertinent information. With the Ei Era of RR "wrapped-up" in an organized, highly detailed website section, Ei is living the new tagline Regeneration in ACTION with full vigor. 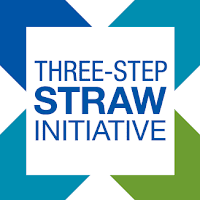 In early March, the RiA Magazine article, Three Steps to Straw Integrity, announces the Three-Step Straw Initiative (TSSI), the first Era of Regeneration initiative. Building off of recycling-integrity principles, the TSSI is an "easy-win" inaugural step in the eradicatification of single-use plastic food and beverage packaging. Addressing microplastic pollution in the waterways, oceans and soils, the TSSI equally falls within the Soil Health and Water Use | Toxicity platforms. Along with the new website, the Ei Newsletter receives a refreshed design and format. A HUGE THANK YOU to Ei In-Kind Partners Jonathan Beacher of Atlanta Website Design and Lee Thompson of Thompson Creative for dedicating your amazing talent and time to Ei site relaunch. Jonathon tirelessly built the structure and functionality for the nearly 100-page site. Lee created a simple, clean, at times whimsical yet highly professional design that represents the magic within Ei's important work. The site relaunch is a final farewell to the Era of Recycling Refinement and a cheerful welcome to the Ei Era of Regeneration. Yet the regenerative work intertwines in complete harmony with recycling-refinement accomplishments. On January 7, 2019 The World Association of Chefs’ Societies' (WorldChefs) Feed the Planet Committee launched the Food Waste Challenge (FWC) with participants from across the globe. For the launch, Feed the Planet Chair Chris Koetke led a webinar educating on the importance of food-waste reduction and the FWC parameters. The RiA Magazine article, Elemental Impact / WorldChefs Collaborate on Global Food Waste Challenge, shares the WorldChefs | Elemental Impact (Ei) relationship history and introduces the FWC parameters. Founded in 2010 as the home for the Zero Waste Zones (ZWZ), Ei provides the food-waste expertise while WorldChefs customizes the information for the chef audience. It is a perfect collaboration! Back-of-House (BOH) Food-Waste Reduction - the document addresses BOH food waste in relation to four overall kitchen operating sectors: 1> Purchasing, 2> Preparation, 3> Storage | Equipment, and 4> Menu Planning. 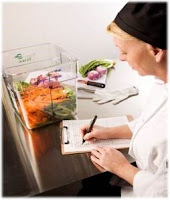 Establishing a BOH Food-Waste Baseline - the document explains the importance of establishing a food-waste baseline and gives several suggestions for weighing the BOH food waste. BOH Food-Waste-Baseline Calculation - a comprehensive spreadsheet for calculating the baseline over a three-month period, broken down by stations, and aggregated from daily, then weekly and into monthly food-waste metrics. Lots and lots of baby steps!!! In alignment with the ZWZ motto, the FWC is broken down into three primary stages : 1> BOH Food Waste, 2> Front-of-the-House (FOH) Food Waste, and 3> Destinations for Excess and Wasted Food. Within stage one, there are seven initial steps centered on calculating an operation's BOH food-waste baseline for two-consecutive three-month periods. Determining the waste baseline is the initial step in developing zero-waste programs. Beyond establishing the current scenario for metrics tracking, the baseline calculation reveals the type of waste generated. Once waste is identified, the next step is creating a reduction plan. In April Chris will host a second webinar with FWC participants where the BOH Food-Waste Toolkit is introduced. Additionally, ample time is planned for participants to share their challenges, lessons learned, and successes. As the first FWC participant, Chef Winson Collarte and his crew at L'Apera Café & Restaurant in Saudi Arabia understand the chefs' responsibility for creating a waste-free food system. In Chef Winson's words,"We chefs are responsible for food-supply sustainability as practitioners of our passion and citizens of this planet." Enthusiastic about the food-waste reduction impact at his restaurant, Chef Winson filmed a two-minute plus video on the importance of the FWC. Feed the Planet is a WorldChefs initiative designed to inspire sustainable food consumption among communities and professionals. In addition, Feed the Planet supports people in need through emergency relief, food-poverty alleviation, and education. Founded in 2012, Feed the Planet is powered in partnership with Electrolux and AIESEC, an international, apolitical, independent and not-for-profit organization, run by students and recent graduates eager to build positive social change. "The Feed the Planet Committee of WorldChefs focuses on sustainability from a planet, foodservice, and humanitarian level. It is really important work and I am very proud of what we are accomplishing. We teach chefs and culinary students around the world about sustainability and how to cook with the planet in mind. We give the disenfranchised an opportunity to enter the foodservice world as an economic means of improving lives through our better future initiatives in many countries. We challenge chefs with our Food Waste Challenge and ask them to make an impact by teaching school kids about food waste. We do not do this alone though. We have wonderful partners like Electrolux, AIESEC, and of course Elemental Impact and the great work that Holly is doing. Together, we can craft a better future!" The Food Heroes Challenge is a chef-driven education project for kids. Using a toolkit developed through the UNICEF sustainability initiative World’s Largest Lesson and our friends at Electrolux Food Foundation and AIESEC, chefs teach a classroom in their local community sustainable eating habits. Education for Employment, benefiting those in need of economic opportunity, provides a completely free, 2-month training module to give students the skills to they need enter the foodservice world. So far, 84 students have graduated in 2 cities in Brazil and Moscow. 12 of our students found jobs immediately after graduation. We are preparing to launch additional programs in Brazil, Egypt, Argentina, and Sweden in this year alone. Special congratulations to our most active learning centres: Curitiba, Brazil, now training its 5th class of students, and Sao Carlos, Brazil, whose 3rd wave will graduate at the end of this year. In a mere seven years, Feed the Planet moved from a concept to a powerful WorldChefs' initiative with tremendous global impact. Feed the Planet makes the world a better place on many levels and dimensions. Founded in 1928 in Paris, The World Association of Chefs’ Societies (WorldChefs) is a dynamic global network of over 100 chefs associations representing the spectrum of chefs across the myriad of levels and specialties. The venerable August Escoffier served as first Honorary President. In alignment with its mission, WorldChefs creates impact within four key areas: education, networking, competition, and humanitarian & sustainability. Within the humanitarian & sustainability focus area, Feed the Planet and World Chefs Without Borders programs relieve food poverty, deliver crisis support, and promote sustainability across the globe. 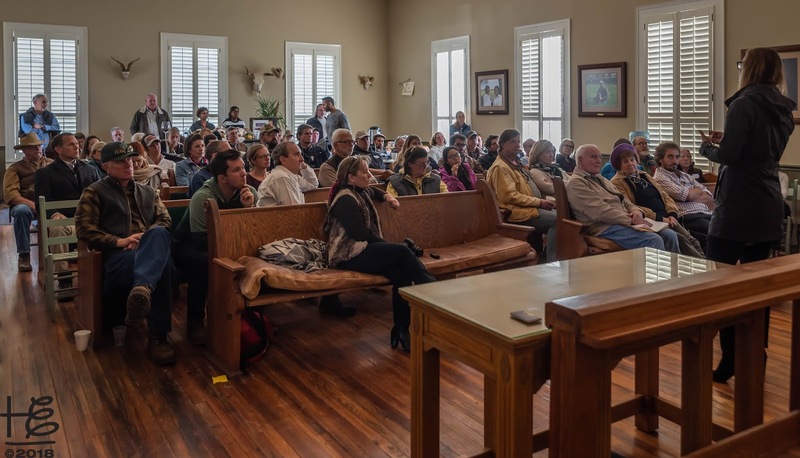 In 2015, Elemental Impact (Ei) introduced the Micro Cost of Macro Contamination (MCMC) platform at the National Zero Waste Business Conference hosted in Austin, Texas in a prominent, well-attended Ei Hosted Panel by the same name. 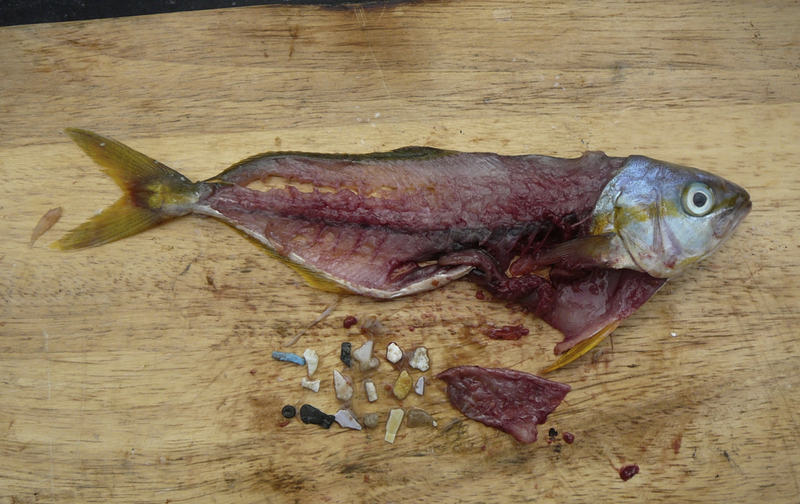 The conference panel focus was to educate on Microplastics: an unseen & deadly poison. At the time, the revelation of the prolific plastic invasion into the Earth's waterways and oceans was in its infancy. Scientists were beginning to understand how microplastics created a "plastic smog" within the oceans that infiltrates the sea-life and human-food systems. 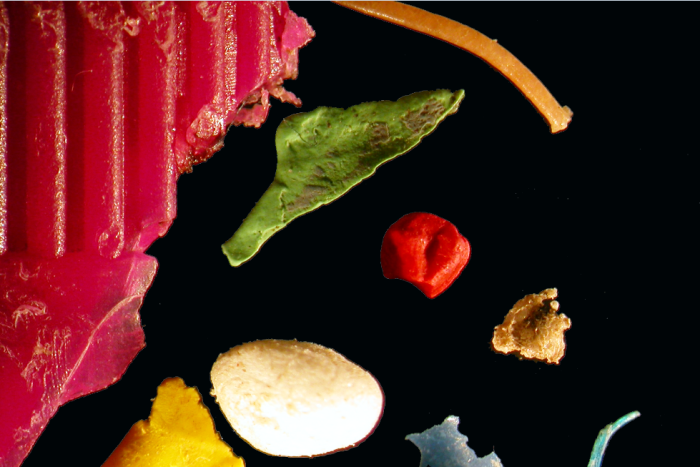 By definition, microplastics are particles smaller than five millimetres. Aquatic life consumes fragmented plastic; larger pieces remain within the digestive tract while smaller ones integrate within the flesh. Thus, plastic enters the human-food system! Plastic smog clean-up is challenging to impossible due to the microscopic size of the plastic. Fragmentation – first step in the bio-degradation process, in which organic matter is broken down into microscopic fragments. Biodegradability – complete microbial assimilation of the fragmented product as a food source by the soil & water microorganisms. Compostability – complete assimilation within 180 days in an industrial compost environment. Note the difference between biodegradability and compostibility is TIME. By definition, material decomposes within 180 days while bio-degradation may take as long as millions of years. In his January 2019 ABC News article, Scientists say microplastics are all over farmlands, but we're ignoring the problem, author Jon Daly substantiates how plastics find their way into agricultural soils through recycled wastewater and rubbish. Within the rubbish is a significant amount of single-use food and beverage packaging; the vast majority of the packaging is either plastic-coated or 100% plastic. Plastic straws are a prevalent contributor to microplastics in the waterways, oceans, and soils. Between 107,000-730,000 tonnes of microplastic are added to European and North American farmlands each year. In 2017, Australia produced 327,000 tonnes of dry biosolids containing microplastics and 75 percent of it was used in agriculture. Researchers say there is a lack of public awareness and scientific understanding of the issue. 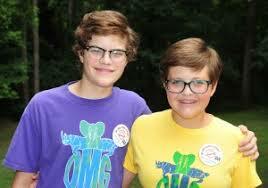 In November 2016, Ei Strategic Ally One More Generation (OMG) founders Olivia Ries (then 14-years old) and her brother Carter (then 16-years old) launched their global OneLessStraw (OLS) Pledge Campaign. OLS educates the public about the dangers of single-use plastic straws and its effects on our health, our environment, and our oceans. Each year 100,000 marine animals and over 1 million seabirds die from ingesting plastic. Every day we use 500,000,000 plastic straws. That’s enough straws to fill 46,400 large school buses PER YEAR! U.S. Consumption is equal to enough plastic straws to wrap around the earth’s circumference 2.5 times a day! A HUGE success, OLS boasts almost 800 partners, restaurants, and schools around the globe. Prominent partners include Delta Air Lines, Hilton Hotels (650 properties), Red Lobster Restaurants (700 restaurants), and TED's Montana Grill (47 restaurants). OLS participants may order complimentary "We only serve straws upon request" buttons for servers to wear. To date, OLS has distributed over 47,000 buttons! OMG | OLS global recognition is astounding. In 2017 Carter presented to the United Nations congregation in New York City in a World Wildlife Day session on the importance of saving endangered species. Carter and Olivia were keynote speakers during the September 2018 G7 Environment, Energy and Ocean Ministers Ocean Summit session hosted in Halifax, Nova Scotia, Canada. In early 2019 OMG received the Energy Globe Award for the Youth category from over 6000-project entries from more than 178 countries. Televised globally, the award ceremony was hosted in Iran. The Energy Globe World Award Video was prepared by event organizers as an OLS overview. With the June 2019 end of the Ei Recycling Refinement Era, Ei's focus shifted to the Soil Health | Regenerative Agriculture and Water Use | Toxicity platforms within the Ei Era of Regeneration. The 2015 introduction of the MCMC served as a catalyst for the Soil Health | Regenerative Agriculture platform formation. As plastic-straw usage reduction gains high-profile media attention, Ei partnered with OMG | OLS for the Three Step Straw Initiative (TSSI) with a planned early summer launch. Beyond plastic-straw usage reduction, TSSI addresses the straw content and end of life and aligns with Ei Era of Regeneration platforms. OMG will encourage OLS participants to further decrease their straw-usage impact by joining the TSSI and shifting from plastic to paper straws. If there is food-waste collection for compost available, OLS participants are encouraged to engage in food-waste collection. Thus, the paper straws contribute to local, quality compost versus another material filling up the landfills or worse the waterways. Ei-recruited participants are required to take the OLS pledge as their first TSSI step. With perfect timing, Green Planet Straws joined the Ei Partner program to support the TSSL shift from plastic to paper straws. OLS participants proved that serving straws only upon request reduces overall straw consumption by 70 - 75%. Thus, the shift to paper straws is essentially cost-neutral as the usage reduction compensates for the higher paper-straw cost. The TSSI is a perfect avenue for former Zero Waste Zones (ZWZ) participants to take their sustainability commitment to the next level. For ZWZ participants, Step 3 - COMPOST is already in place. Thus, cost-neutral Steps 1 & 2 are an easy-to-implement endeavor. Though they are a relatively minor portion of the plastic-pollution crisis, plastic straw daily and annual usage represents significant pollution tonnage. Straws are high profile and an "easy-win" in the steps towards eliminating single-use plastic food and beverage packaging. 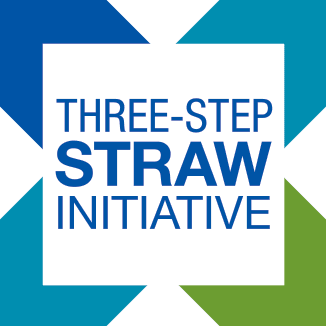 The Three-Step Straw Initiative brings "straw integrity" to the hospitality industry. 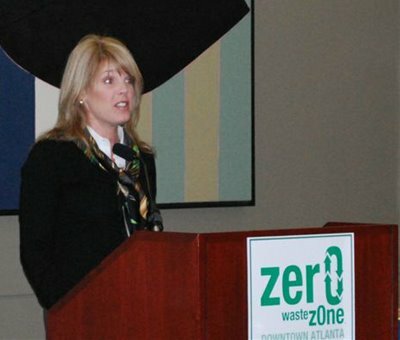 Ten years ago today the Zero Waste Zones (ZWZ) launched at the acclaimed press conference hosted at the Georgia World Congress Center (GWCC) and lead by Stanley Meiburg, Acting Regional Director of the U.S. Environmental Protection Agency, Region 4. The ZWZ propelled Atlanta into the global spotlight as THE forerunner in the nation for the commercial collection of food waste for compost. The ZWZ adventure began in the summer of 2008 when Atlanta lost a convention to another city as the client perceived the other city “greener.” A convention-driven city, Atlanta was ready to embrace “green practices” in the downtown hospitality and entertainment district where businesses pledged to implement zero-waste initiatives. Working in collaboration with Atlanta Recycles, the Georgia Recycling Coalition, the Sustainability Division of the Georgia Department of Natural Resources, and the U.S. Environmental Protection Agency, the ZWZ Criteria was developed, participants recruited, and the ZWZ-Downtown Atlanta launched. Officially launched as a Green Foodservice Alliance (GFA) program in partnership with Atlanta Recycles, the ZWZ brought together diverse segments of Atlanta's business community as well as local, state and national government entities. Captain Planet Foundation Chair Laura Turner Seydel served as the ZWZ Chair. The GFA operated under the auspices of the Georgia Restaurant Association (GRA), the state affiliate of the National Restaurant Association. Holly Elmore served as the GFA Founder and Executive Director. Spent grease collection for the production of bio-fuel. Common recyclables (cardboard, paper, glass, plastic and metals) collection for recycling. Excess food donation in accordance with the Good Samaritan Food Donation Act. Food residuals from preparation | service and excess food not compliant with the Food Donation Act collection for composting or other state-permitted destinations. The formal ZWZ definition: a collective gathering of community working together on changing current disposal methods of consumed products. The ZWZ goal was to divert the maximum amount of recyclable items and organic matter from landfills and back into the production cycle. Collaboration is key for success. A zone was a defined geographic area or a foodservice category with unique characteristics impacting ZWZ Criteria. Territory zones partnered with a local business association and mirrored the association’s district; territory zones created route density for ZWZ suppliers. A category zone example was Off-Premises Caterers where food is transported to an off-site location. By the end of 2009, the Atlanta business community embraced the ZWZ with additional zones established in Midtown, Buckhead, and for Off-Premises Caterers. ZWZ participation made good business sense and improved bottom lines from cost-savings and revenue generation. Once a participant focused on food waste generated in operations, across the board, food cost was reduced due to waste reduction. The ZWZ educated on the legal protection provided by the Good Samaritan Food Donation Act and was instrumental in significantly increasing food donations from Atlanta's hospitality community. It was empowering to witness the collaboration among otherwise competitors as ZWZ Participants navigated the establishment of sustainable best industry practices. As an example, the Hyatt Regency Director of Engineering Randy Childers invited his fellow downtown hotel counterparts for a back-of-the-house tour and food-waste collection for compost demonstration. In Buckhead, the Doubletree Atlanta-Buckhead General Manager Dave Rossman took a leadership role in launching and growing the ZWZ-Buckhead. With fewer trash compactor pulls due to less waste and no foul odors from decomposing food, the Doubletree found an easy-to-implement, cost-saving solution for their food waste dilemma. 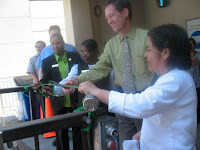 In addition, Dave held a ribbon-cutting ceremony when the former trash compactor was converted to a recycling compactor; a dumpster was now adequate to handle waste generated at the hotel. 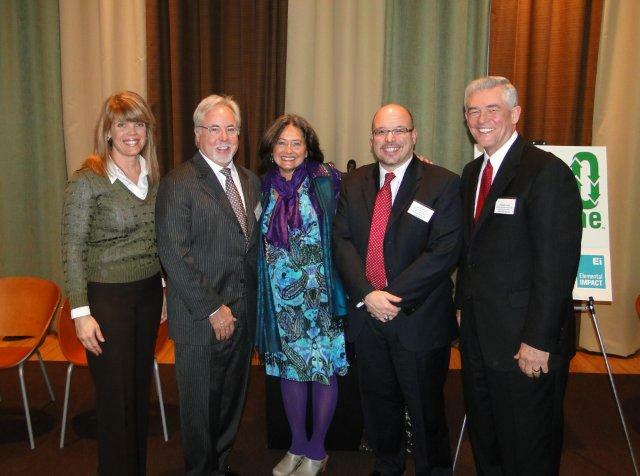 Fifth Group Partner Steve Simon championed the ZWZ-Midtown launch at Ecco. Thanks to the Midtown Alliance's strong support, office building management attended the launch. A true trailblazer, Steve implemented food-waste collection for compost practices at all Fifth Group restaurants where leases permitted the practice. Subsequently, new restaurant-lease negotiations included provisions for property-management support of food-waste collection for compost. “Before the Zero Waste Zones we had an 8-yard dumpster that was pulled three times per week. Our trash is now viewed as a raw material and collected by either a recycling or composting company. By following the ZWZ Criteria, ECCO no longer requires a dumpster. We are excited to be Atlanta’s first dumpster-free restaurant! “The ZWZ program is a financial winner for our company. It differentiates us, and in the realm of luxury catering where exciting food is increasingly a commodity, differentiation is what it’s about. We have already experienced well over $100,000 in sales made almost exclusively because we are a responsible caterer who “walks the talk” of sustainable practices. When you compare what we paid our waste hauler to come out and unload the huge bins six times a week, versus what we pay them to come out twice per week now and collect one half bin – plus what we pay to remove organics for composting – we’re saving 10%. It’s very significant. The national media loved the ZWZ! Within months of the launch press conference the ZWZ were featured in a CNN Story, City Aims for Zero Waste. The story was featured on CNN's home page and aired during prime-time viewing in national and global markets. In the fall, the New York Times published the Nudging Recycling from Less Waste to None front-page article featuring the ZWZ. At the 2009 GRACE - GRA Crystal of Excellence - Awards, Holly received the Innovator of the Year Award for the ZWZ formation and successes. The City of Atlanta proclaimed November 11, 2014 Affairs to Remember Caterers Day in recognition of sustainability efforts, and in particular the milestone of having diverted one million pounds of recoverable materials from Georgia landfills. The RiA Magazine article, ... and the journey began with a delicious divorce from the landfill!, announces Affairs to Remember Day and showcases Affair's stellar sustainability commitment. In February 2010, Elemental Impact (Ei) was formed as the new home for the ZWZ. The Ei Speaking Engagement page details the plethora of conferences and other speaking engagements featuring the ZWZ along with accompanying PPT presentations. Atlanta’s Zero Waste Zones program has been incredibly successful, and we are now looking to expand that success to communities nationwide. Sustainability is imperative to our industry, other business communities, and the general public. Working with Elemental Impact, we are bringing industry stakeholders together to enable our members to establish - and succeed in reaching - waste diversion and resource recovery goals. In late September 2012, the NRA acquired the ZWZ program with intentions to expand the program nationally within the state-restaurant-association network. It was exciting news as the program could evolve and increase its impact within the depth of the NRA's educational, training and policy resources. The RiA Magazine article, National Restaurant Association Acquires the Zero Waste Zones, gives additional details on the monumental purchase. Post-ZWZ purchase, Ei continued resource-recovery work within the powerful Sustainable Food Court Initiative with a focus on post-consumer food waste, plastic-film recycling, source-separated materials recycling and more. In June 2017, Ei announced the end of the Era of Recycling Refinement (RR) and embarked on the Era of Regeneration. The 2009 ZWZ launch is at the foundation of Ei's formation and subsequent successes. 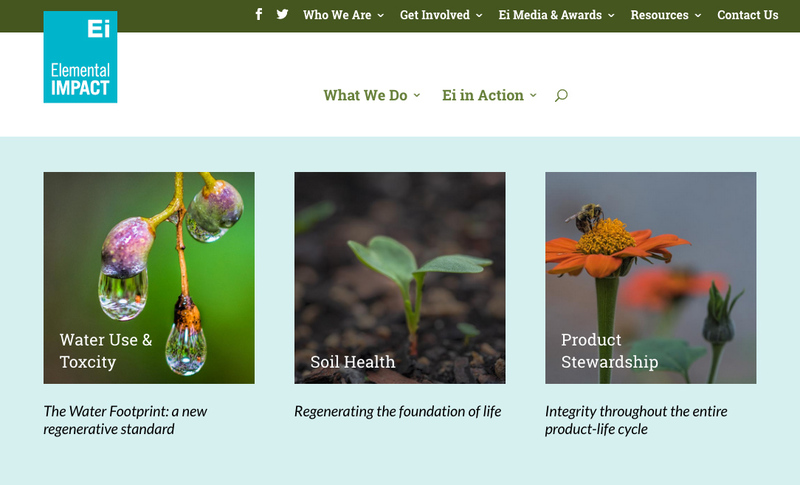 Though Ei's current work is focused on Soil Health | Regenerative Agriculture and Water Use | Toxicity, the long-term industry connections made and the global respect earned remain strong, empowering. and impactful. Strong industry connections are integral to success within the regenerative non-profit realms. Long-term relationships often play vital roles in making an impact and moving an initiative through challenges and barriers. Elemental Impact's (Ei) recent formal collaboration with the The World Association of Chefs’ Societies's (WorldChefs) Feed the Planet, an empowering WorldChef's initiative stems from a 2011 introduction to Chef Chris Koetke, then Kendall College Vice-President, School of Culinary Arts. Immediately following the 2010 National Restaurant Association (NRA) Show in Chicago, Kendall College hosted the International Foodservice Sustainability Symposium. At the event, Ei Founder Holly Elmore debuted the Recycling Integrity platform to a standing-room-only audience. The following year, Holly invited Chris present on her 2012 NRA Show panel Compost: The Quiet Hero, an encore performance and the long-term bond formed. In 2015 Chris oversaw development of the WorldChefs' Sustainability Education for Culinary Professionals. The sustainability course is a Feed the Planet initiative that teaches chefs how to think and act sustainably, to lead positive change for the planet, and improve profitability in the kitchen; the course is a cost-free WorldChefs member benefit. Chris invited Ei to create the Waste & Recycling Curriculum with the Sustainability Education for Culinary Professionals course. Ei's answer was an immediate YES! The Ei SMAT – Sustainable Materials ACTION Team – went to work on crafting a 50+ page PPT presentation complete with photos | visuals, instructor notes, and a glossary of industry terms. Holly and Chris worked closely together on the final edits to the curriculum. The RiA Magazine article, Sustainability: a matter of thinking critically & solving problems in an adaptive manner, gives an overview of the course during its development stage. For a downloadable short version of the PPT, visit the World Chefs Waste | Recycling Course Curriculum page with the Ei Mission Accomplished! website section. After beta testing the course in 2016, the Sustainability Education for Culinary Professionals course is adopted into core culinary-school curriculum at institutions around the globe. 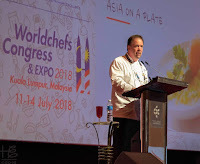 WorldChefs Feed the Planet Food Waste Challenge (FWC); the challenge was slated for announcement at the July 2018 Biannual Worldchefs Congress & Expo hosted in Kuala Lumpur, Malaysia. Chris serves as the Feed the Planet Chair. Holly joined the Feed the Planet FWC Committee and participated in a series of calls focused on defining the challenge parameters. In addition to Chris, other committee members included Arwyn Watkins, President of the Culinary Association of Wales, and Frank Fol, Culinary Architec at Future Foods. The committee agreed to keep the challenge simple and filled with small steps. Keeping with the simple theme, the FWC was broken down into three primary stages : 1> Back-of-the-House (BOH) Food Waste, 2> Front-of-the-House (FOH) Food Waste, and 3> Destinations for Excess and Wasted Food. The committee focus centered on developing the BOH challenge criteria. The first FWC action step established was determining a kitchen BOH food-waste baseline. Back-of-House Food-Waste Reduction - the document addresses BOH food waste in relation to four overall kitchen operating sectors: 1> Purchasing, 2> Preparation, 3> Storage | Equipment, and 4> Menu Planning. The FWC has two subsections: 1> Educational and 2> Operational. Feed the Planet Lead Partner Electolux oversaw the Educational sector while Chris' committee focused on the Operational sector. Sign-up for the Challenge on the WorldChefs website. Kick-off day for BOH FWC - marks the beginning of the Operational Challenge with a webinar that explains the steps within the Challenge along with pointers on how to accomplish the steps. Measurement with the toolkit - participants commit to weighing the kitchen (BOH) food waste for three months and develop a baseline of food waste generated in kitchen operations. Worldchefs will provide a tracking tool for creating the food-waste baseline. Submissions commitment - sign-up for the Operational Challenge on the WorldChefs website. Webinar check-in with an inspirational presentation - the food-waste reduction portion of the Challenge begins. Each participant commits to reducing BOH food waste by a chosen percentage over a six-month period. Worldchefs will provide guidance on percentages and tools to help address BOH food waste. Submission of BOH food waste reduction results - at the midway point (three months) WorldChefs will host a webinar check-in with an inspirational and educational presentation. FOH (front-of-the-house) Food Waste Challenge kick-off - participants renew their BOH food-waste reduction commitment for another six-month challenge and embark on a FOH challenge, following similar parameters to the BOH challenge. At the 2018 Congress, Chris announced the FWC during the Feed the Planet plenary session. The FWC is set to officially launch in January 2019. 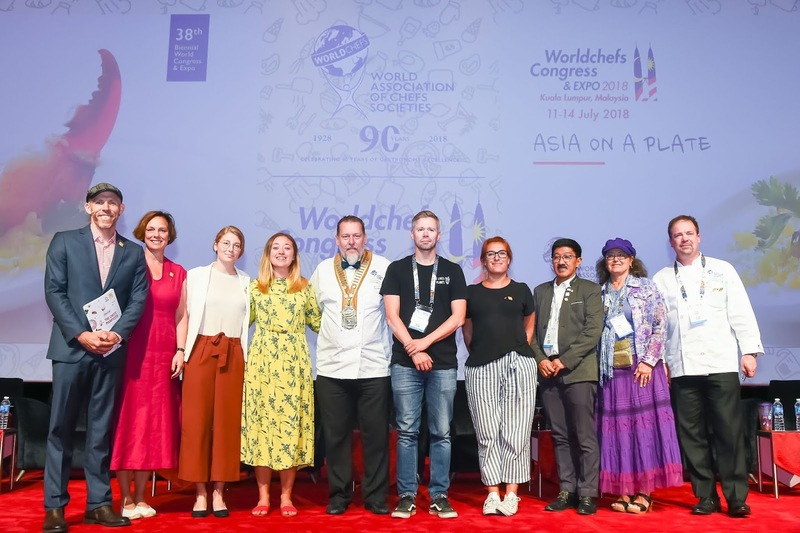 Integrating the spectrum of focus areas, WorldChefs hosts the biannual four-day Worldchefs Congress & Expo as the premier showcase for culinary innovation. 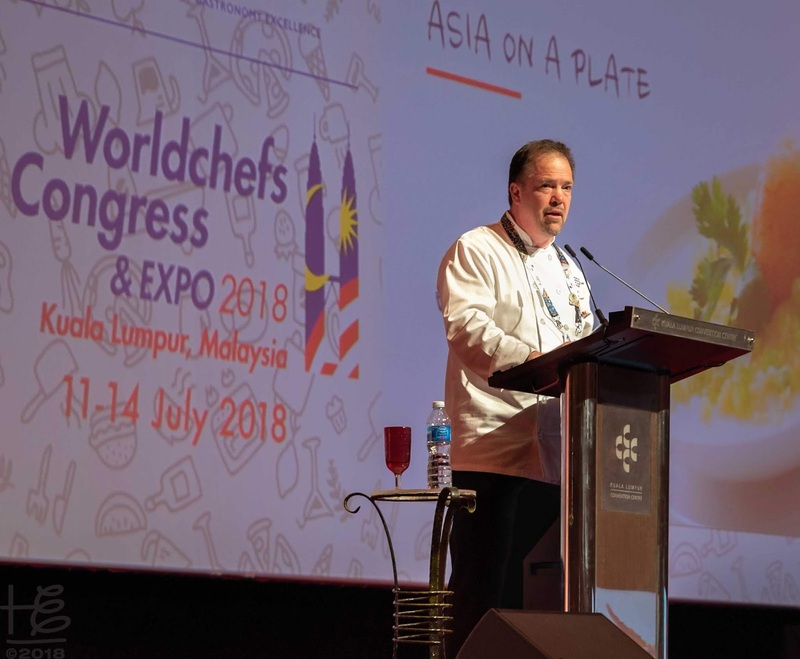 In mid-July, over 1,000 chef delegates and competitors from 80 countries converged on Kuala Lumpur, Malaysia for the 2018 Worldchefs Congress & Expo. The 2018 Congress celebrated 90 years of empowering chefs through education, competition, and camaraderie. On day three of the 2018 Congress, the educational plenary program was dedicated to Feed the Planet. Presentations focused on the current global food-waste scenario along with empowering programs committed to evolving the seemingly broken food system. After the "big picture" presentations, the focus narrowed down to local, effective initiatives and case studies on food-waste reduction in culinary operations. The morning session culminated in the announcement of the FWC Educational and Operational Challenges to the WorldChef member delegations. 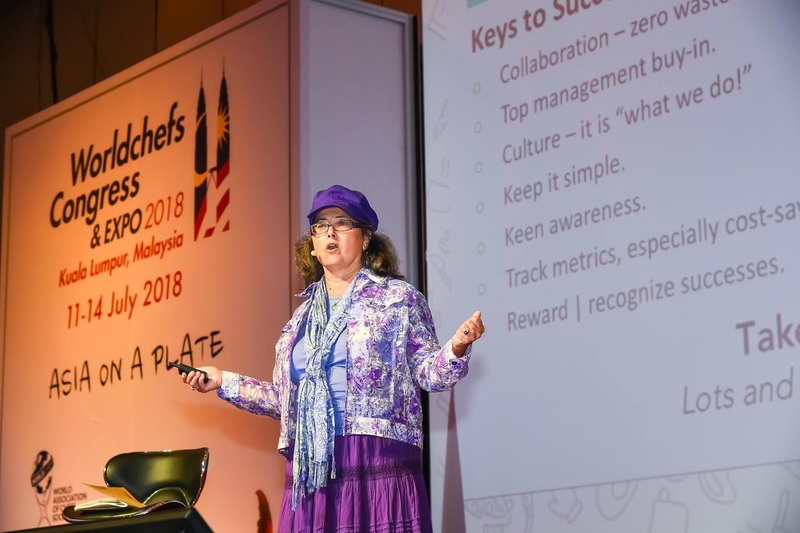 The RiA Blog article, Feed the Planet: an empowering WorldChefs' initiative, gives an overview of the session presentations and introduces the WorldChefs FWC. During the Feed the Planet session, Holly presented on The Profitability of Waste: the business case for food waste reduction. After a quick overview of the successful Zero Waste Zones (ZWZ) 2009 launch in Atlanta, GA, Holly shared a recipe for food-waste-reduction success. In addition, Holly outlined the basics of where and why back-of-the-house food waste is generated. A well-run kitchen generates minimal waste! The RiA Blog article, The Profitability of Waste: the business case for food-waste reduction, gives an overview of Holly's presentation with an emphasis on the case studies. Ei will continue with FWC support through the challenges four stages. The WorldChefs Feed the Planet program joins the Ei Strategic Ally program with logo placement and a website listing. Ei is a Feed the Planet Collaborative Partner with logo placement on the page footer along with a website listing. With the long-term relationship formalized, the Ei | Feed the Planet collaboration is staged to make a global difference via the Food Waste Challenge and beyond. Feed the Planet is a WorldChefs initiative designed to inspire sustainable food consumption among communities and professionals. In addition, Feed the Planet supports people in need through emergency relief, food poverty alleviation, and education. Founded in 2012, Feed the Planet is powered in partnership with Electrolux and AIESEC, an international, apolitical, independent and not-for-profit organization, run by students and recent graduates eager to build positive social change. Over the past decade, sustainability moved from a buzz word to a movement to a culture within leading communities, universities, and businesses. Significant strides were made in zero-waste practices, renewable energy technology, and reduced carbon | water footprints. Yet the glaciers continue to melt, the ocean acidification levels are increasing, and desertification is escalating. Beginning with the above paragraph, the RiA Magazine article, Beyond Sustainability: Regenerative Solutions, articulates the pending oxygen deficiency and food-supply crisis substantiated with prominent scientific research. The article questions whether the established sustainability movement and the new resilience focus are enough to reverse the out-of-balance carbon cycles causing the pending crisis. To avoid a doom and gloom perspective, it is important to simplify the scenario and discover regenerative solutions. Beyond sustainability and resilience, regeneration focuses on rebuilding and restoring nature's perfect system. The RiA Magazine article, Carbon Crisis: simply a matter of balance, explains the carbon cycles and the current out-of-balance scenario. Elemental Impact (Ei) Strategic Ally Kiss the Ground's inaugural four-minute video The Soil Story is featured in the article and simply explains why regenerative agriculture is the key to restoring the Earth's carbon-cycle imbalance. Across the globe there are an increasing number of farms and ranches shifting to regenerative-agriculture practices with impressive success metrics for the land, the farm, and surrounding communities. In Kiss the Ground, the book, the "Bismark or Bust" chapter features Gabe Brown of Brown's Ranch. At his 5,000-acre farm networked with owned and leased land, Gabe and his son Paul use regenerative-agriculture practices with amazing results. Since 1993 Brown's Ranch is a no-till farm and uses a diverse crop strategy with cover and companion crops. An ever-evolving grazing strategy rests and rejuvenates the soil. No GMOs (genetically modified organisms) or glyphosate are used on the farm. The Browns eliminated synthetic fertilizers, fungicides, and pesticides-use and only employ a minimum amount of herbicides. Beyond restoring the soil, the farm produces abundant, healthy food, makes a solid profit, and provides a higher quality of life for the Browns. The "Bismark or Bust" chapter is inspiring dialogue filled with hope of what can be done. Gabe's first book, Dirt to Soil, One Family's Journey into Regenerative Agriculture, released earlier this year and is an excellent, informative read. a regenerative field in front. 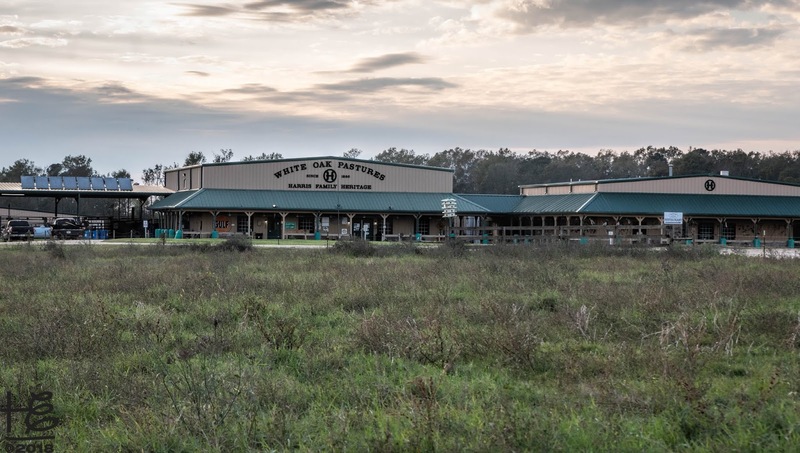 Located in South Georgia, White Oak Pastures (WOP), a sixth generation, family-owned farm established in 1866, is a radically traditional farm where regenerative-agriculture practices are strictly maintained. Until a mere two-plus decades ago, WOP used typical commercial cattle-ranching practices filled with nitrogen-based fertilizer, antibiotics, long (thousands of miles) journeys to feedlots for the young cattle, and other unmentionable yet common practices. It was a profitable time period for the farm. 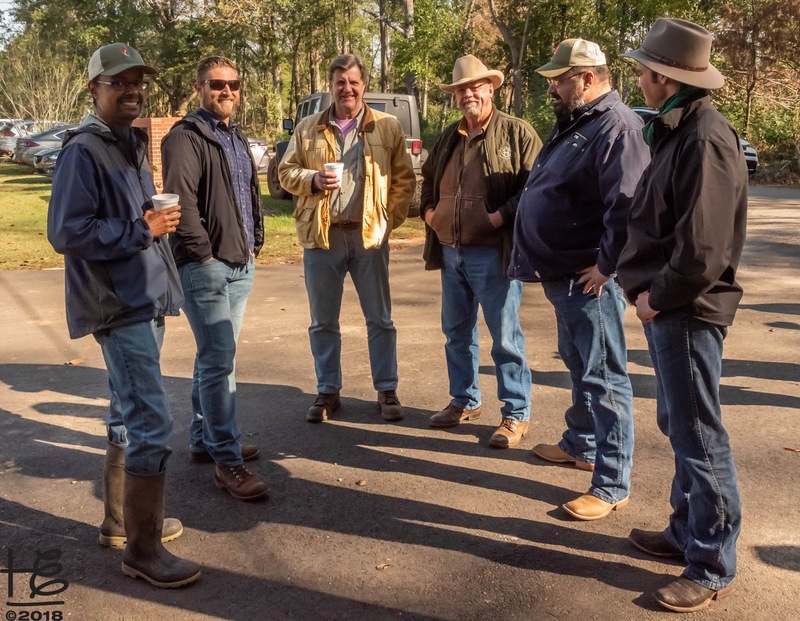 Around the millennium shift, Will Harris III, WOP Patriarch and Owner, began the journey of implementing regenerative-agriculture practices at the farm. The first step was shifting his herd to a grass and hay-only diet, the nutrition their digestive tracks were built to digest. Sheep were added to aid in weed control and balance the land. Eliminating the cattle transport for slaughter (some prefer the term harvest) was the next step in the farm's regeneration. In 2008 Will traversed numerous regulations and built a $2.2 million U.S. Department of Agriculture-inspected beef abattoir. At the time, only one other on-farm USDA-inspected abattoir was permitted in the nation. The November 2011 The IMPACT Magazine article, White Oak Pastures - Dignity & Respect @ Its Core, chronicles the early years of the WOP metamorphosis. 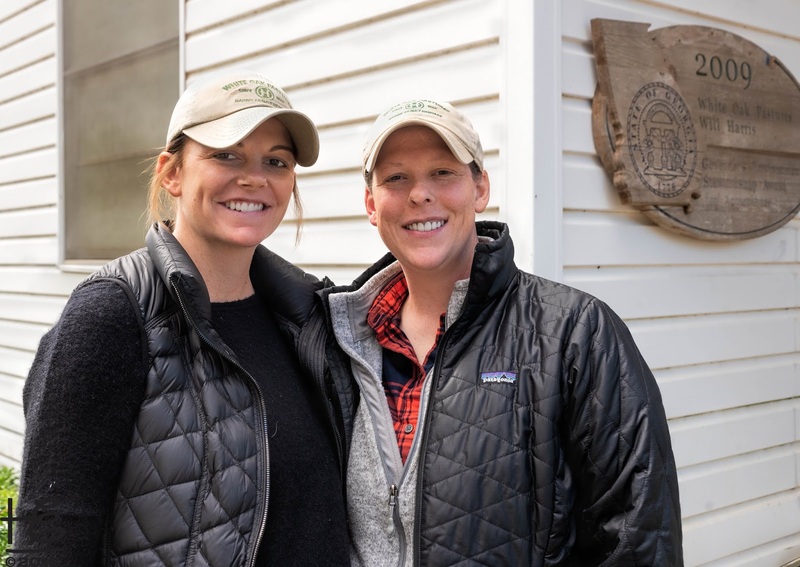 Over the past decade, Will along with sixth generation daughters Jenni Harris and Jodi Harris Benoit continued the transformation by adding goats to the rudiment herds along with a plethora of poultry including chickens, ducks, turkeys, and others to the farm's grazing rotations. Later hogs were added to the livestock mix. 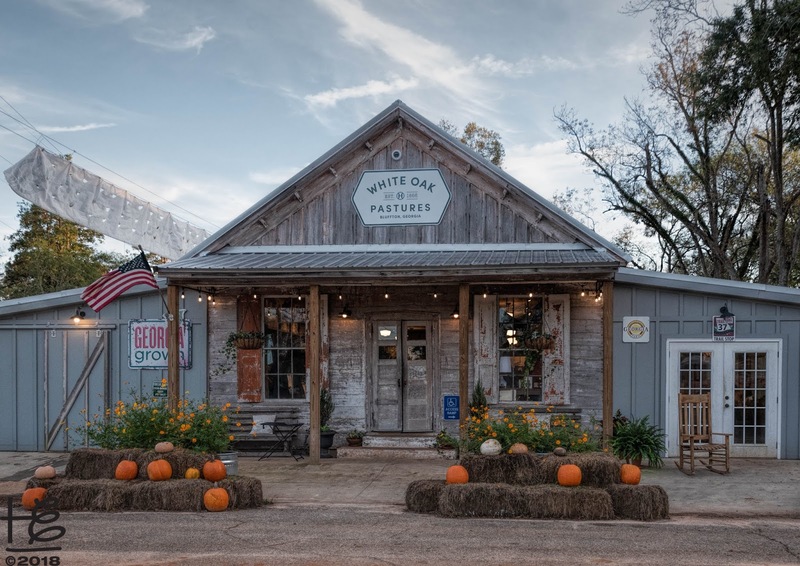 Understanding the social-conscious impact, WOP developed a strong agritourism business, complete with a restaurant, on-farm cottages, and a WOP General Store located two miles north in Bluffton. Along with locally produced products, the store sells an array of on-farm-handcrafted items made from meat-processing byproducts, including wallets, lip balm, earrings, dog chews, and many more. Beyond monetary considerations, WOP educates by example of the far-reaching, empowering implications of regenerative-agriculture practices. Until recently Bluffton was a dying small southern town. 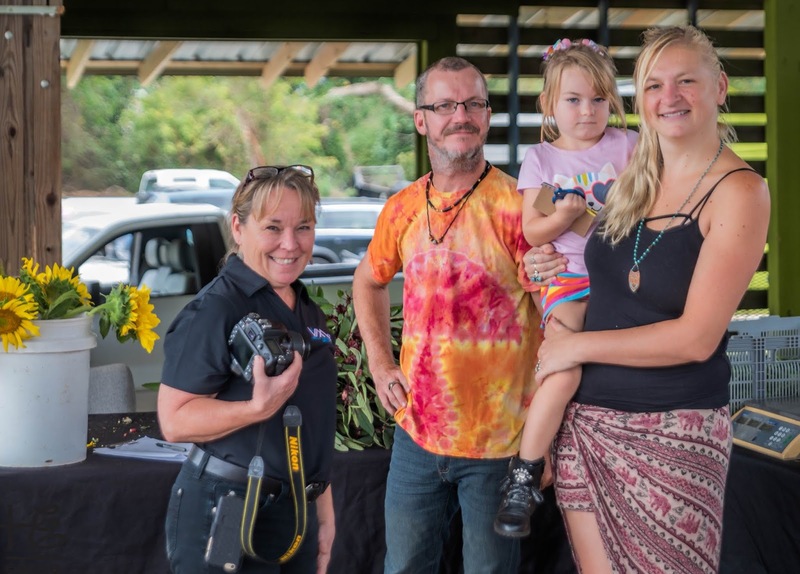 WOP revived Bluffton's economic vitality with 150-plus employees who live, eat, and shop in the town. Many of the abandoned, dilapidated local residences are restored as lovely homes for WOP employees. When it opened in 2016, the WOP General Store was the first retail to open in forty years. The store is a blessing to local residents as the closest grocery is twelve miles away. WOP maintains a "Bluffton campus" on Pine Street with a Community House and an old church converted into meeting space and offices. 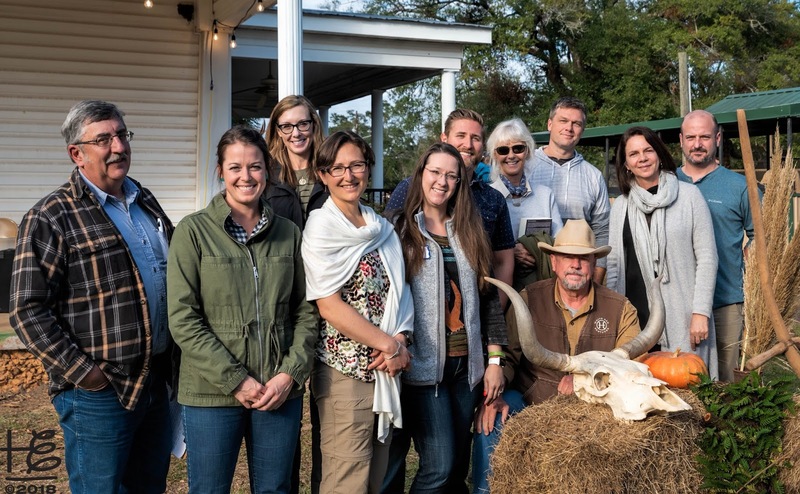 WOP hosted The Savory Institute's (SI) Global Network Reunion in early November at the "campus" for nearly 100 regenerative ranchers, agriculture professionals, and Holistic-Management advocates. 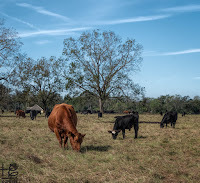 "In the mid-1990’s, I began experimenting with regenerative-pasture management on my own. I spent a lot of time and effort just observing nature and learned a lot through trial and error. By 2010, I believed I had it figured out. Honestly, I thought that I knew as much about Holistic Land Management as anyone anywhere. Then I heard Allan Savory speak. It was immediately clear to me that he was decades ahead of me. I decided to become a disciple." Back in August 2015, WOP, then a SI Hub Candidate, hosted a SI Holistic-Management-Training session. In addition to key WOP employees, five individuals representing local farm and watershed groups successfully completed the training session. Subsequently, WOP was officially accepted as a SI Hub. According to the SI site, Hubs are Holistic-Management training, learning and demonstration sites. Together, they are a global network of entrepreneurial people who are driven to create abundance for the people and places of their region and in their context. It is through Savory Global Hubs that Holistic-Management education, training, events, special projects, consulting, research, and experiences are conducted in a region. 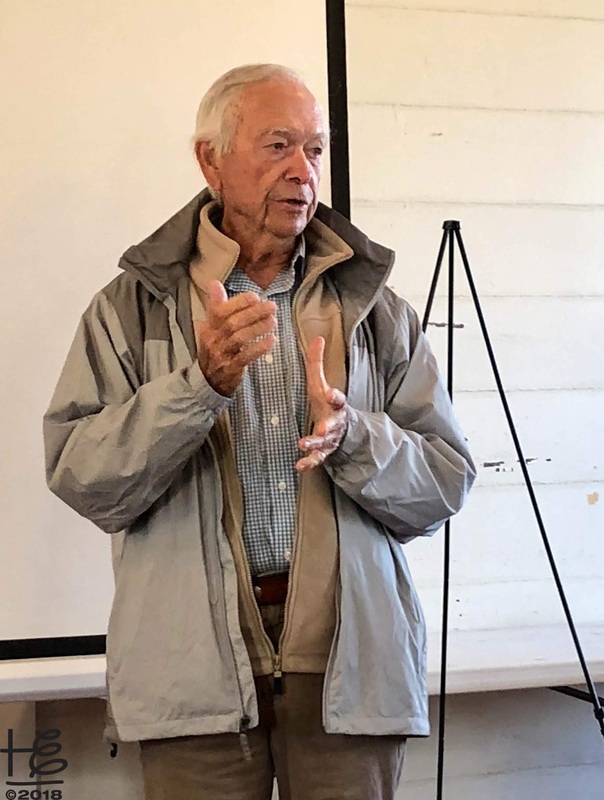 In the 1960's, Allan Savory, SI Co-Founder and Zimbabwean ecologist, livestock farmer, and environmentalist, began his research work on the degradation of land and the increasing desertification across the globe. As a biologist, Allan was taught in academic classes the common theory that grazing livestock on the land was the base cause for lush grasslands degrading into deserts. Yet, the common theory did not align with nature's perfected grazing system of large herds of ruminants, multiple-stomach mammals who live on a plant-based diet. The herds graze over vast lands, never staying in one place for too long. As they defecate and urinate on the land, it is important the mammals move to fresh pasture. The animal's hooves work the excretions (nature's fertilizer) into the soil, which is left to rejuvenate back into thick grasses for the next herd. The grassland plants develop deep root systems that aid in maintaining an active, healthy soil ecosystem through the dry season and droughts. Healthy, well-structured soils contain a diverse foundation of invertebrates, various microbial communities, and vast networks of mycorrhizal and other fungi. Well-structured soils absorb the minimal rain in arid climates and replenish the local aquifers. Deep root systems access the aquifers during the dry season. The grasses continue feeding the soil ecosystem with carbon and other nutrients from the atmosphere through photosynthesis. To emulate nature, Alan understood it was necessary to increase herd size while dividing pasture land into smaller paddocks. Grazing-rotation plans move the herds frequently in a specified paddock sequence. Thus, Holistic Management, a systems-thinking approach to managing resources, emerged from Alan's thorough research as a platform to regenerate the land. An added bonus is Holistic-Management practices produce more protein food and dairy products. In 1988, Alan and his wife Jody Butterfield published the acclaimed Holistic Management: A New Framework for Decision Making. The Africa Centre for Holistic Management, a non-profit organization in Zimbabwe, was formed by Alan and Jody in 1992 via the donation of a ranch; the Centre serves as a learning site for the African people. Along with Alan and Jody, a group of colleagues co-founded SI in Boulder, Colorado.in 2009. The SI vision was an international network of innovators and leaders committed to the highest standards of Holistic-Management training and implementation. The Africa Centre was the first locally led and managed SI Hub. Alan's February 2013 TED Talk, How to fight desertification and reverse climate change, created a ground swelling of awareness around Holistic Management. The TED Talk showcased Holistic Management's important role in regenerating soils and sequestering carbon from the atmosphere. To date, the empowering TED Talk has 5.2 million views. According to Alan, one billion hectares of holistic-managed grasslands would sequester sufficient carbon from the atmosphere to bring the carbon cycles back into balance. With balanced carbon cycles, current ocean acidification and desertification trends would reverse. The SI is creating a decentralized, locally managed network that supports the education and implementation of Holistic-Management practices to reach the one billion-hectares threshold. network of entrepreneurial people who are driven to create abundance for the people and places of their region and in their context. It is through Savory Global hubs that Holistic-Management education, training, events, special projects, consulting, research, and experiences are conducted in a region. Accredited professionals are trainers and implementers of Holistic Management. Equipped with accreditation in the complete and current Savory Holistic-Management body of knowledge, they teach, train, and support Holistic-Management practitioners. Savory Regenerating Members are advocates for Holistic Management and regenerative agriculture. As members and supporters of the Savory Global Network, they propel a paradigm shift in public opinion and ignite the movement of regenerative agriculture. The March 2018 Successful Farming post, Meet Alan Savory, the Pioneer of Regenerative Agriculture, is an in-depth synopsis of Allan along with Holistic-Management accomplishments. Savory Global Network Coordinator Abbey Smith and her husband's California farm is featured in the article as an example of how Holistic-Managed land regenerates back into its healthy state. In 2018 SI expanded their annual Global Hub Gathering to include Accredited Professionals and Regenerating Members and renamed the gathering the Global Network Reunion. 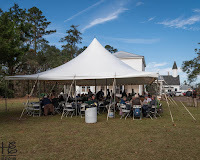 WOP hosted the first annual reunion in rural, south Georgia. The first annual Global Network Reunion held on November 10 & 11, 2018 at WOP was a global gathering with attendees traveling from around the world: Australia, New Zealand, South Africa, Kenya, Argentina, France, Scotland, Turkey, United Kingdom, Canada, and across the U.S residents attended the event. Ei Founder Holly Elmore attended the reunion as a SI guest. On Saturday, Holly represented Ei while on Sunday she wore a dual Ei | media hat. Ei Partner Nancy Suttles of Veracity Media Group joined Holly on Sunday as media covering the event. For the first reunion-day program, Hub Leaders, Accredited Professionals, and Regenerating Members attended separate programs designed for their experience and interests. Holly joined the Regenerating Members for their education sessions, including a morning tour of WOP cattle and grazing plans and an afternoon tour of the beef and poultry slaughterhouses. In the late afternoon, the entire group was treated to a comprehensive WOP farm tour. The empowering day ended with a lovely dinner under the outdoor tent. On the second day, the three attendee groups were together for the day's agenda. The full-morning agenda included two educational sessions followed by a panel discussion with the Land to Market™ Team. 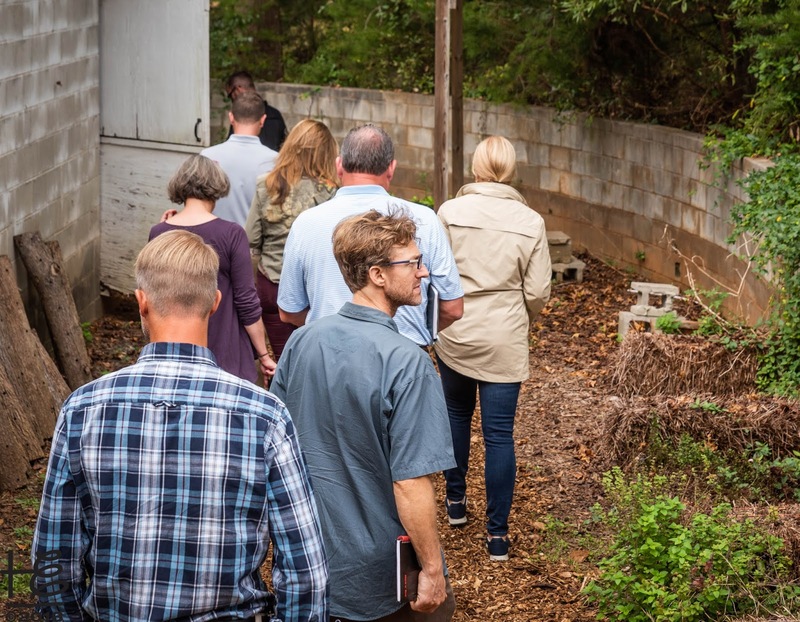 After lunch, the group went on a land walk for an Ecological Outcome Verification™ (EOV™) demonstration. Following the demo, the group convened for discussion on the recently launched Land to Market™ program parameters. The weekend ended with a festive dinner celebration including live music. On October 22, 2018 EPIC Provisions, a mission-based snack brand known for its humanely raised, animal-based foods, announced its Sweet & Spicy Sriracha Beef Bites snack is the first product to feature the science-based Land to Market™ Ecological Outcome Verification™(EOV™) seal. EPIC sources the beef for the Sweet & Spicy Sriracha Beef Bites from WOP. A few days earlier the South African Savory Hub delivered the first regenerative-wool bales carrying the EOV™ seal to the international wool market in Port Elizabeth. Land to Market™, the world’s first verified regenerative-sourcing solution for meat, dairy, wool, and leather, launched as a beta program in 2017 and verified its first products in 2018. With the recent EOV™ products available, Land to Market™ was a main topic in the Sunday joint reunion sessions. As SI's expertise is on regenerating grasslands, the EOV™ seal is currently limited to meat, dairy, wool, and leather products. Scientific-based EOV™ is the empirical backbone of the Land to Market™ program and verifies outcomes in soil health, biodiversity, and ecosystem function (water cycle, mineral cycle, energy flow and community dynamics). Land to Market™ is designed to give the consumer a regenerative voice with their spending dollars and support producers who adhere to Holistic-Management practices on their farms. By purchasing products with the EOV™ seal, the consumer is assured their dollars are spent with farms who regenerate soils and sequester carbon from the atmosphere into the soils. Exactly one month prior to the Global Network Reunion, Hurricane Michael tore through South Georgia with sustained 115-miles-per-hour winds leaving behind death, destruction, and tragic conditions. In an October 17 report, WSBTV reported Georgia crop damage estimates are well over $1 billion. 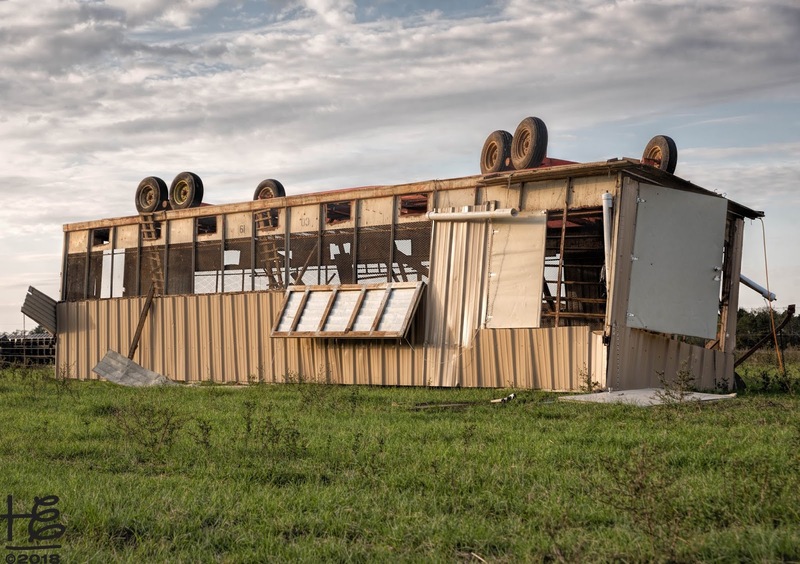 WOP was directly hit by Hurricane Michael and sustained tremendous damage. WOP Livestock Manager John Benoit took Holly on a personalized tour of the lingering damage. One chicken coop was turned completely upside down while the intense wind tore the roof off of another. Part of WOP's​ hurricane preparation was processing the approximately 200 hens who called these coops home. Thus, there were no casualties related to the coop damage. 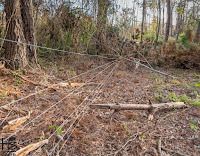 Fallen trees are expensive as they take down fences and are a lost cash crop. 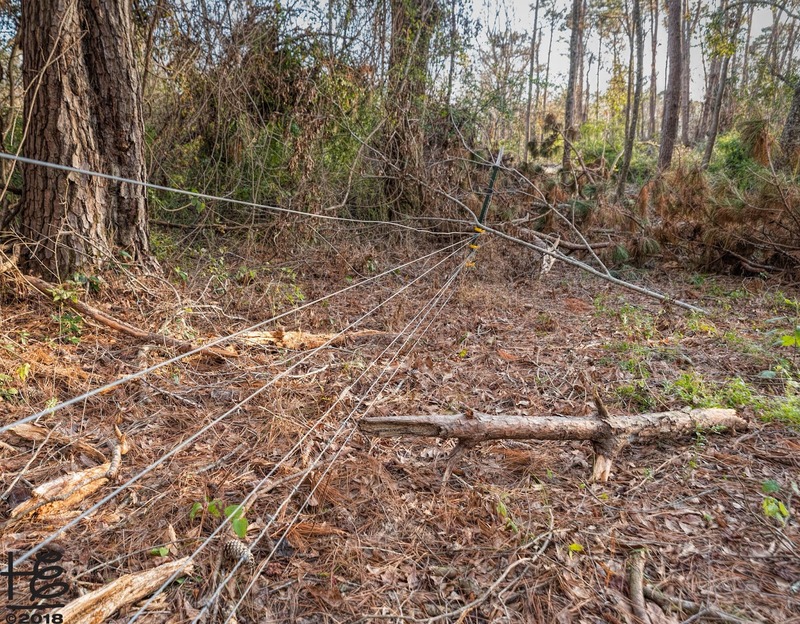 Hurricane fence damage is costly on many levels. Beyond the simple financial cost of repairs & replacement, damaged fences impact the livestock grazing patterns, which is critical in regenerative agriculture. Regenerative-agriculture practices helped mitigate post-hurricane water damage. The healthy, well-structured soil at WOP absorbed the tremendous water and within days there was minimal standing water on the farm. There were no spontaneous small streams created that carry away valuable top soil. According to Jenni, WOP lost four head of cattle, over 100 small ruminants, over 4,000 birds, and around thirty hogs. A falling tree literally sliced through the midsection of a cow standing within the protection of the woods. Structural damage evaluation is ongoing. Overall hurricane damage costs are estimated to top hundreds of thousands of dollars. 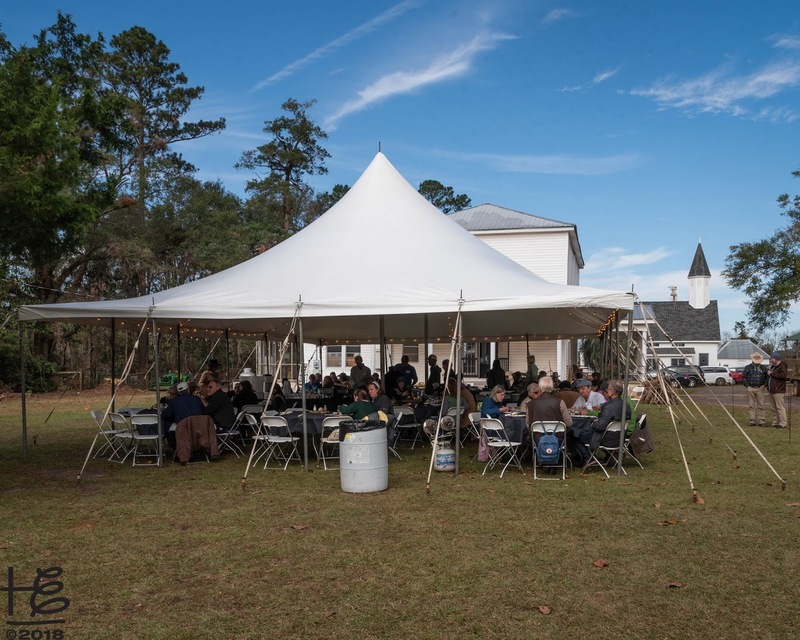 ... and literally one month later WOP hosted the prominent SI Global Network Reunion and welcomed the global attendees with gracious Southern hospitality at its best. The Ei FB album, Savory Institute 2018 Global Network Reunion, gives a pictorial recount of the powerful weekend from Holly's camera-lens perspective. The Savory Institute's commitment to Holistic-Management practices on global grasslands is regenerating a bright future for Planet Earth. On October 16, 2018, Elemental Impact (Ei) hosted the first Ei Exploration. 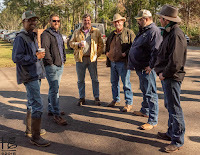 A group of diverse, passionate industry leaders traveled from California, Georgia, North Carolina, and South Carolina to participate in the Ei Exploration of Fungi, Soil Health, and World Hunger in Upstate South Carolina. The empowering day was in partnership with Ei Strategic Ally Feed & Seed. Ei Explorations bring industry leaders and experts together to strategize on solutions for challenges facing humanity and life on our planet. 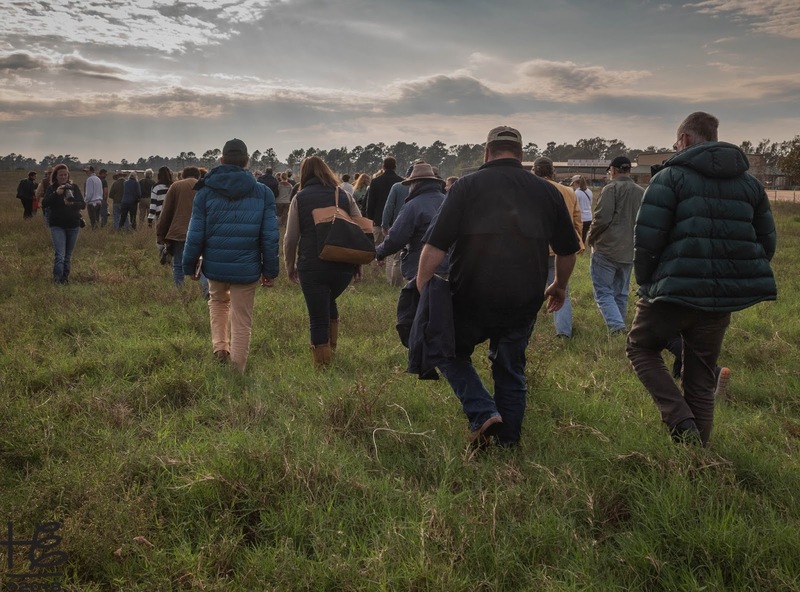 Since its 2010 inception, Ei has a long history of hosting educational tours, including Ei Farm Tours, Ei Industry Tours, Ei Partner Tours, and Ei Sustainable Food Court Initiative Tours. As a forerunner in zero waste practices, the prior tours were generally educational in nature related to emerging industry standards. In 2017 Ei announced Recycling Refinement was moved to Mission Accomplished! and the new primary focus areas are Soil Health and Water Use |Toxicity. As a first action step within the Soil Health platform, Ei hosted the Compost's Empowering Role in Sustainable Soils panel at the 2018 U.S. Composting Council (USCC) held in Atlanta. Based on attendee feedback, the panel was the most popular breakout session panel at the conference. The RiA Blog article, GAME WON: composting council conference breaks records, gives a conference overview and features the prominent panel. The panel PPT presentations are available for download on the Ei-Hosted Panels page. The Ei Exploration of Fungi, Soil Health, and World Hunger was the first formal Soil Health event and a strong action step within the platform. 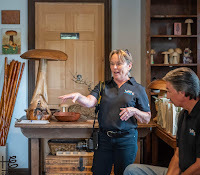 During her July 2018 Upstate South Carolina Farm Tours, Ei Founder Holly Elmore visited Mushroom Mountain Founder & Owner Tradd Cotter for an intriguing, inspiring two-hour meeting and tour. When Tradd explained his book, Organic Mushroom Farming and Mycoremediation, included a chapter dedicated to K-12 classroom curriculum, Holly knew an introduction to Ei Advisor and Captain Planet Foundation Chair Laura Turner Seydel was imminent. With Laura enthusiastic for a SC road trip to Mushroom Mountain, the exploration orchestration began. The ONLY common date on Laura's and Tradd's busy calendars through year-end was Tuesday, October 16. Amazing, 100% of the A-list exploration attendees were available and committed to the event. 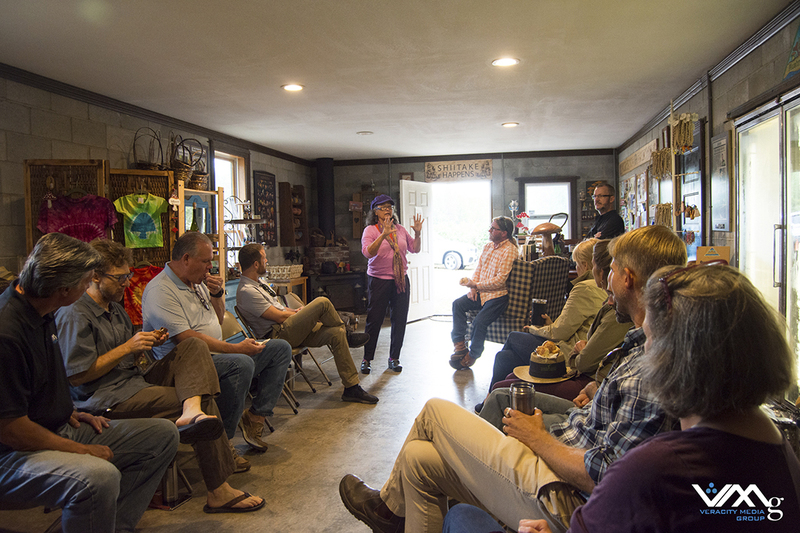 As she welcomed attendees to the Ei Exploration at the Mushroom Mountain facility, Holly chronicled the history of the group's intertwining relationships spanning the last decade. Going back to 2008, Holly explained she met Feed & Seed Executive Director Mike McGirr when he was Laura's personal chef. Mike joined the 2008 Celebration of Grassfed Beef Chefs' Tour of White Oak Pasture's recently opened slaughterhouse. 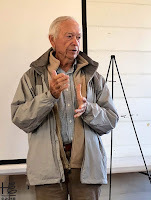 Joel Kimmons with the Center for Disease Control also participated in the Grassfed Beef Tour coordinated by Holly and attended the Ei Exploration. At the January 2008 Georgia Restaurant Association Local, Sustainable & Green Roundtable meeting, CREATE Program Director Jonathan Tescher spoke in his then capacity as the first Farmer Services Coordinator for Georgia Organics. 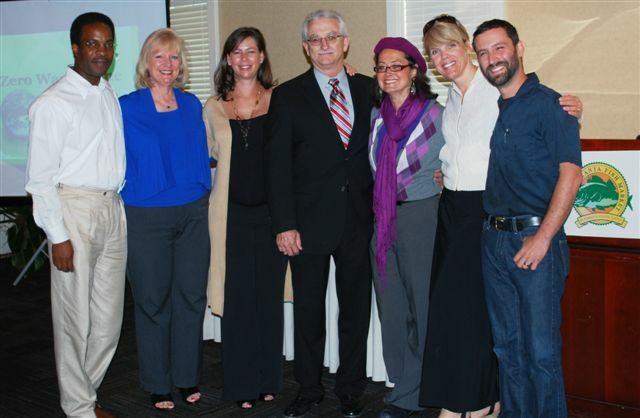 The powerful meeting launched the Green Foodservice Alliance (GFA) where Holly served as Founder & Executive Director. The Zero Waste Zones (ZWZ), the nation's forerunner in the commercial collection of food waste for compost, launched in February 2009 within the GFA. In 2010, Ei was formed as the new home for the ZWZ. Laura served as the ZWZ Chair from its launch until the 2012 sale to the National Restaurant Association. 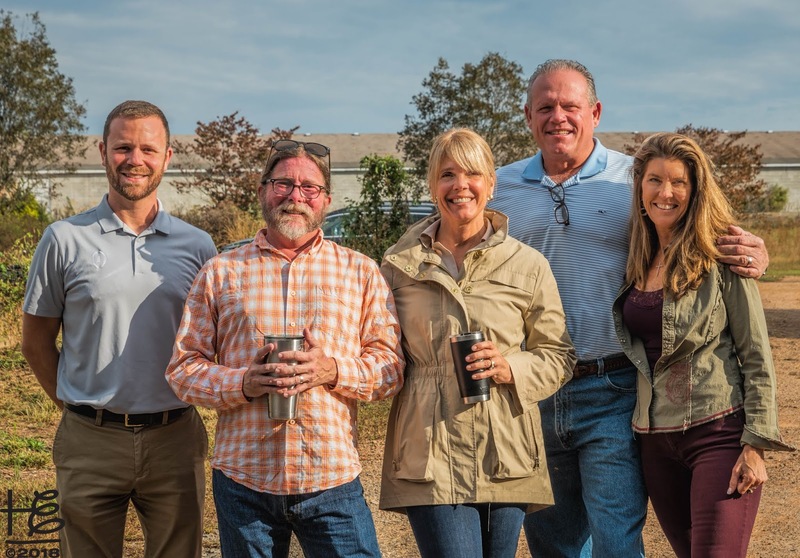 Over the years, Ei worked closely with then Good Earth Farms Owner Jim Lanier on establishing food waste collection for compost practices in the Charlotte market. The important work was via the Sustainable Food Court Initiative (SFCI) and later the EPA Scaling Up Composting in Charlotte, NC Grant where Ei was a subgrantee. Additionally, Jim was invited to the Ei Exploration for his missionary work in Central and South America. Georgia World Congress Center Authority Director of Sustainability Tim Trefzer joined the powerful day as a member of the Ei Leadership team. When the Georgia Dome accepted the invitation to serve as the SFCI Event Venue Pilot in 2012, Tim's close working relationship with Ei began. 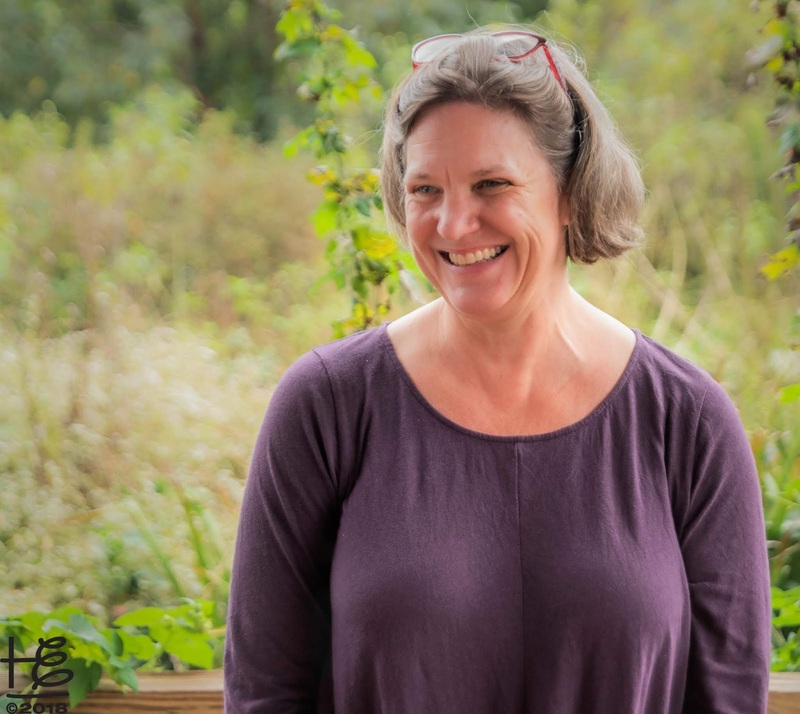 Holly first met Ei Supporter Kathy Kellogg Johnson, Kellogg Garden Products (KGP) Chair, at the 2010 USCC Conference and later reconnected at the 2015 National Zero Waste Conference. In 2017 a lovely bond developed between Holly and Kathy within the weekly Kiss The Ground calls for "The Compost Story" video launch. Kathy presented on the previously mentioned Ei-hosted panel Compost's Empowering Role in Sustainable Soils at the 2018 USCC Conference. At the conference, Holly introduced Kathy to then Southern Farm & Garden (SF&G) Publisher Nancy Suttles. Subsequently, the 2018 spring & summer SF&G issues featured articles on KGP's nearly 100-years old history as well as their unwavering commitment to certified-organic gardening products. Holly wrote the article on KGP's history. The summer SF&G issue published The Story of the Bradford Watermelon on how Nat Bradford is reviving the family heirloom melon. During Holly's Upstate SC Farm Tours, Nat's name kept coming up and it was natural for him to join the exploration. Ei Partner Veracity Media Group (VMG) founded by Nancy as a proprietary multi-media platform officially launched at the Ei Exploration. 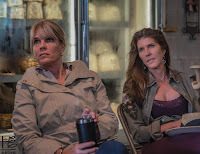 VMG Chief Operating Officer Robert Witcher and Senior Contributing Producer Morgan Rhodes joined Nancy at the exploration to document the empowering day. Holly and Nancy connected when they were 18 years old and competitive collegiate gymnasts. Feed & Seed Chair Mary Hipp joined the exploration and with southern hospitality provided scrumptious local pastries for the attendees to enjoy. Following Holly's interwoven history shared by the group, each participant took several minutes to introduce themselves with a focus on their livelihood, expertise, and passions. At the end of the article, a list of attendees along with their snippet bios is included. Every morning I wake up and ask what can I do to make a difference today. 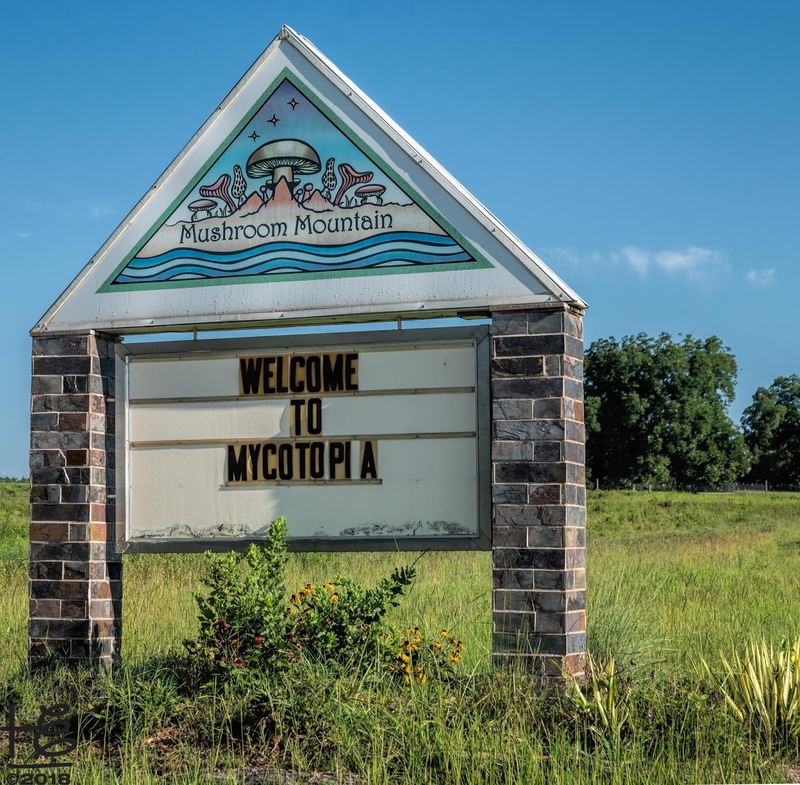 Starting as a simple laboratory in the closet of Tradd & his wife Olga's Boynton Beach apartment, Mushroom Mountain blossomed into a world-class laboratory and research facility located in Easley, SC. With over 50,000 square feet of available enclosed space for cultivation, mycoremediation, and medicinal research projects, Mushroom Mountain is exploring and pioneering innovative applications of fungi that replace toxic-based pest controls and often ineffective modern medical treatments. Fungi is one of the Six Kingdoms of Life; the other five kingdoms are Archaebacteria (oldest known living organisms; single-celled and thrive in extremely hot boiling water), Eubacteria (single-celled bacterial organisms), Protista (single-celled organisms, such as algae and slime molds; catch-all kingdom for microscopic organisms that do not meet other kingdom criteria), Plants (multi-celled organisms who create their own food through photosynthesis) and Animals (complex, multi-celled organisms who feed upon other organisms). Long thought closer to the Plant Kingdom, fungi are actually closer to the Animal Kingdom. Fungi are heterotrophic, meaning they do not produce their own food like plants and must obtain energy from outside sources similar to animals. Additionally, fungi breath oxygen and exhale carbon dioxide. At the heart of fungi are feathery filaments called hyphae that conglomerate to form mycelium. With the exception of yeast, most fungi are multicellular. Beyond the important fermentation properties of yeast critical for crafting bread, wine, and beer, fungi are integral to life on planet Earth. Often referred to as the internet or highway system of soils, mycorrhizal fungi form a symbiotic relationship with plant roots. The plant provides the fungi carbohydrates (sugars) from its photosynthesis process and the fungi provide phosphorus, nitrogen, and other micronutrients to the plant roots. Truffles, chanterelles, and king boletes are edible mushroom blooms from mycorrhizal fungi. These MNs are composed of continuous fungal mycelia linking two or more plants of the same or different species. The MN can thus integrate multiple plant species and multiple fungal species that interact, provide feedbacks and adapt, which comprise a complex adaptive social network. The MN is considered ecologically and evolutionarily significant because of its positive effects on the fitness of the member plants and fungi. Our understanding of this significance derives from evidence that MNs influence the survival, growth, physiology, health, competitive ability and behaviour of the plants and fungi linked in the network. How the MN affects the member plants and fungi is increasingly understood to involve plant–fungal–plant communication, and may involve biochemical signaling. According to the May 2017 National Geographic article, The World's Largest Living Organism, an armillaria ostoyae fungus covering 2,385 acres of the Malheur National Forest in Oregon is the largest living organism and estimated at 2,400 to 8,650 years old. Edible honey mushrooms bloom from the fungus. Controversial, the armillaria ostoyae fungus attaches to conifer trees roots eventually killing the tree. 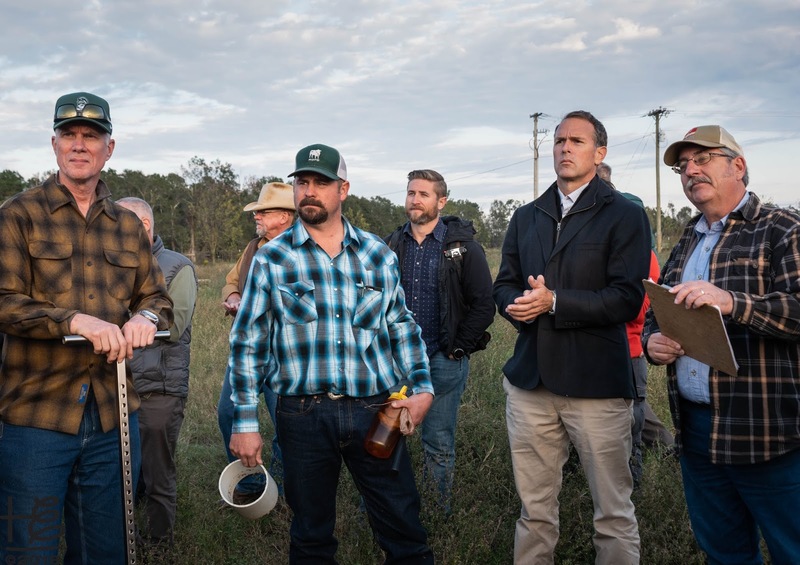 In his recently released Dirt to Soil, One Family's Journey into Regenerative Agriculture, Gabe Brown includes "limited disturbance" as one of his five principles of soil health. According to Gabe, "Tillage destroys soil structure. It is constantly tearing apart the "house" that nature builds to protect the living organisms in the soil that create natural soil fertility." MN are the foundation of the "house" nature builds. At Mushroom Mountain's lab, Tradd and his team are exploring beneficial fungi properties in medicinal and agricultural realms. On a simplistic level, Mushroom Mountain offers a line of USDA Organic-Certified Mycomatrix Adaptogenic Extracts that are available in consumer-sized containers, counter dispensers for the food & beverage industry as well as in bulk for manufacturers to augment their products. On a more complex level, targeted insects eat cordyceps fungi spores, which then attack the insect's nervous system and brain eventually killing the victim. The fungi sporulate inside of the mummified body and sprout through the exoskeleton spreading spores to the remaining colony. Species-specific, the fungi spores will only harm the targeted species. Cordyceps fungi have the potential to completely disrupt the current toxic-chemical based pesticides predominant in agriculture along with home and commercial pest control. During the impressive lab tour, Tradd passed around a mummified insect he found with the fungi protruding through the head. Nat asked Tradd if he could help with a pesky beetle attacking one of his crops. Next spring Nat is to collect a live sample of the beetle so Tradd may develop a targeted fungi pest solution. Mycelium is highly adaptable and may produce enzymes to destroy foreign objects that enter its network. Once it is identified, the destructive enzyme may be cultured for further use. Alternatively, the mycelium may be "trained" to produce the enzyme for purposes of destroying the targeted object or life form. Thus, fungi have a strong restoration potential, whether used as a targeted medicine for a human parasite infestation, cleaning up an oil spill or other toxic-laden areas, or breaking down petroleum-based plastics into simpler carbon molecular structures. Highly respected, Tradd is leading discoveries and practical applications within mycology. As a Clemson graduate, Tradd often works closely with the Clemson microbiology department on his research work. The 2016 National Geographic video You Didn't Know Mushrooms Could Do All This gives an excellent overview of Tradd's impressive research and accomplishments. Mushroom Mountain is a company that focuses on the needs of the planet, developing food and systems for filtering water, creating prototypes for novel antibiotic discovery, isolating target specific myco-pesticides to replace chemical pesticides for problematic insects, and many other projects that use fungi to harmonize our coexistence with nature. 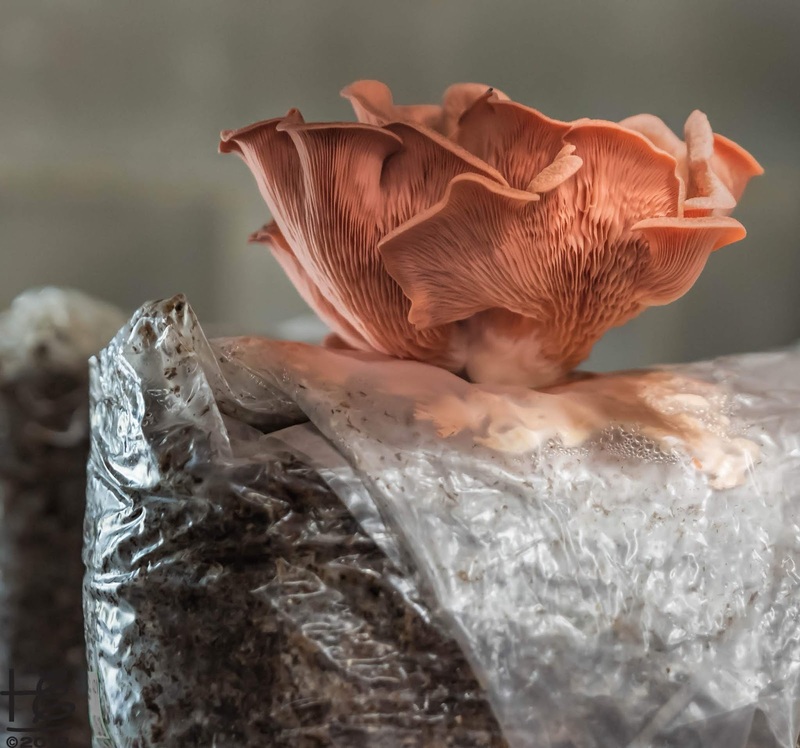 The magical world of fungi is blossoming and wizards like Tradd are harnessing the magic into practical, safe applications for the consumer, agriculture use and beyond. Feed & Seed orchestrated a lovely lunch at 1826 Bistro on the Green in Pendelton. Along with devouring the delectable food, Ei Exploration attendees enjoyed getting to know each other and discovering common synergies. For the lunch entre, attendees were treated to the option of Adyson Ashley's home-raised, organic chicken - what a treat! Over a year ago, eleven-year old Adyson started her chicken business with a $1500 loan from her grandparents. With the funds, Adyson purchased her first set of chicks, materials to build cages, and other equipment. The chickens are grass fed with a rotation method and supplemented with home-grown soldier fly larvae; no antibiotics or steroids are administered on the chickens. As the business owner, Adyson dedicates time every day to raising the chicks along with processing the mature birds. Adyson's Dad helps with tasks requiring height and strength. The May 2017 Greenville News article, This 10-year-old girl is raising high quality, grass-fed premium chickens that chefs love, showcases Adyson's impressive young business. The lunch first course was a luscious soup made with a Dutch fork pumpkin from the Bradford Watermelon Farm. Nat brought one of his Cherokee heirloom pumpkins to lunch and explained how it was different from varieties found at markets. Laura purchased the pumpkin to share the seeds with Truly Living Well, an Atlanta urban agriculture haven. After lunch, the group traveled to the Clemson University Organic Student Research Farm to learn about Clemson's empowering contributions to solving local and world hunger challenges. 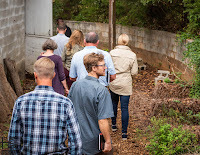 A common thread among many of the Ei Exploration attendees was a personal commitment to ending world hunger via missionary work, soil rebuilding efforts, and growing food. Nat founded Watermelons for Water where Bradford Watermelon seeds are planted in impoverished areas to provide a sweet, filtered nutritious water source. Once germinated, the watermelon plants can flourish without irrigation and filter non-potable water into clean drinking water. Proceeds from Bradford Watermelons fund the important program. Kathy donates her time and expertise for Plant with Purpose. Several times a year, Kathy travels to Africa with Plant with Purpose and teaches indigenous tribes how to rebuild their diminished soils with compost. In general, the soils were devastated due to deforestation and left unable to support plant life. As mentioned in the History section, Jim participates in Central and South America missionary trips twice per year. 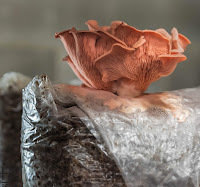 Mushroom Mountain developed Mushroom Rescue Modules in ready-to-ship, plastic boxes that are suitable for airdropping to refugee camps, natural disasters and other scenarios in need of a protein source. The boxes contain growing media, starter cultures, insect netting, and mosquito attractant. In addition to fruiting mushrooms in as little as 10 -14 days, the media can filter bacterial pathogens to minimize the risk of cholera and other water-borne pathogens. Due to its natural exudation of octanol gas trails, the media may be used to vector mosquitos away from sleeping villagers and reduce the risk of bites from virus-carrying females. Finally, the media can be composted into a rich soil substrate to perpetuate vegetable and plant production. The March 2017 Gleaner - Kingston article, US-Based Expert To Conduct Workshops On Growing Mushrooms, announces 'The Magic of Mushrooms' workshops hosted by The Source Farm Foundation in Johns Town, St Thomas, coordinators of the Jamaica Sustainable Farm Enterprise Programme, and was funded by USAID. 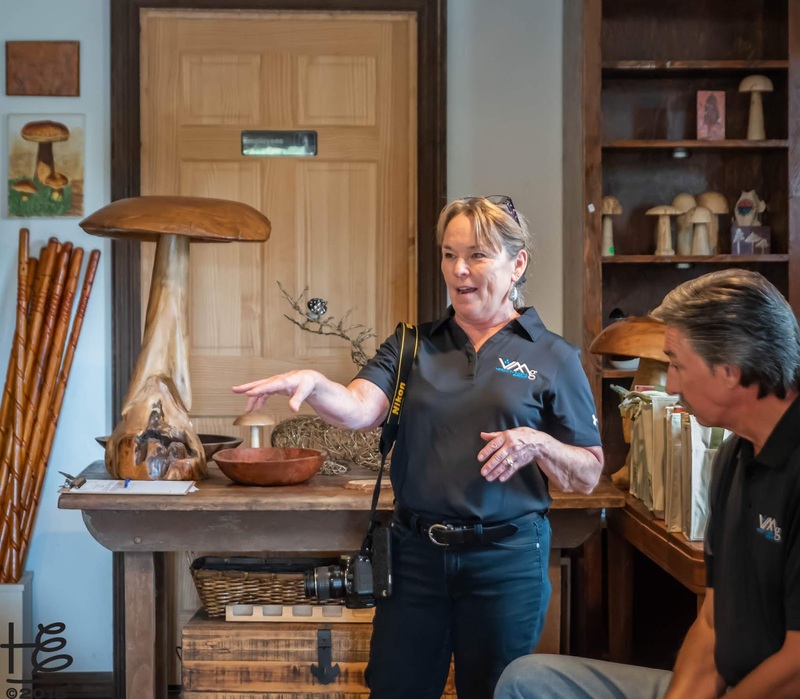 At the workshops, Tradd taught how to cultivate mushrooms for consumption and how to use them for medicine, pest management, termite eradication, mosquito control, the break-down of plastic waste, and the clean-up of industrial pollution. Closer to home, Feed & Seed's Farm To Belly program teaches families how to access, grow, and prepare vegetables in new and innovative ways. Partnering with GHS Children's Hospital, recipe bags are delivered to daycares with the ingredients for a family to prepare and share a healthy meal together. 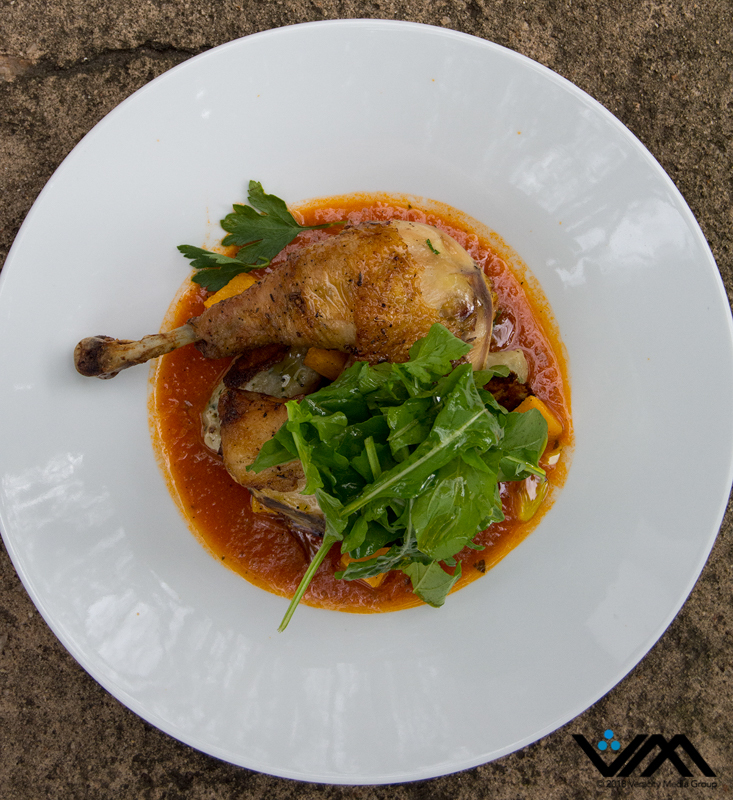 Farm To Belly brings the often lost art of cooking back into the family unit. The short video, Farm & Seed + Farm To Belly, gives a solid overview of the important local program. At the Clemson Farm, Mike welcomed the group to the farm and gave a more detailed overview of Feed & Seed work-in-progress and successes. Next Mike introduced the farm managers who shared the variety of important research and simple farming activities in-process at the organic farm. In addition to serving as an experimental research farm, hosting training and other events, the farm grows test crops specific to the Farm To Belly recipe kits. Once vetted, the test crops are deployed to local farms for large-scale cultivation and sale into communities with food access challenges. The farm supports a Community Supported Agriculture (CSA) program which is available to Clemson faculty, staff, and students and the outside community. The CSA was open for participant produce collection during the Ei Exploration program. The final speaker for the day, Clemson Professor Stephen Kresovich, Ph.D. (Steve), Endowed Chair of Genetics in the Department of Genetics and Biochemistry and the Department of Plant and Environmental Sciences, brought the conversations into expanded dimensions. Steve is an active Feed & Seed Board Member. According to his Clemson profile, Steve's research objectives are: (1) to identify genes of the sorghum, sugar cane, and maize genomes impacting evolution, domestication or crop improvement, (2) to characterize and understand the relationship between DNA sequence variation and desirable phenotypes, (3) to characterize molecular and phenotypic diversity of sorghum, sugar cane, and maize in natural populations, landraces, and elite germplasm, and (4) to develop and test strategies to efficiently discover, conserve, and use variation in natural populations and genebank collections by integrating current advances in genomics, bioinformatics, and plant genetics/breeding. As stated in his The Will to Lead for Clemson video, Steve's research focusses on utilizing genetic resources of agricultural crops so that better systems for production of food, feed, fiber, and energy may be developed. Steve's endowed position enables him new opportunities to lead high risk, high reward research. A member of the Cornell faculty since 1998, Steve left his prestigious Cornell position, Vice Provost for Life Sciences, in 2009 to join the University of South Carolina as Vice President for Research and Graduate Education. 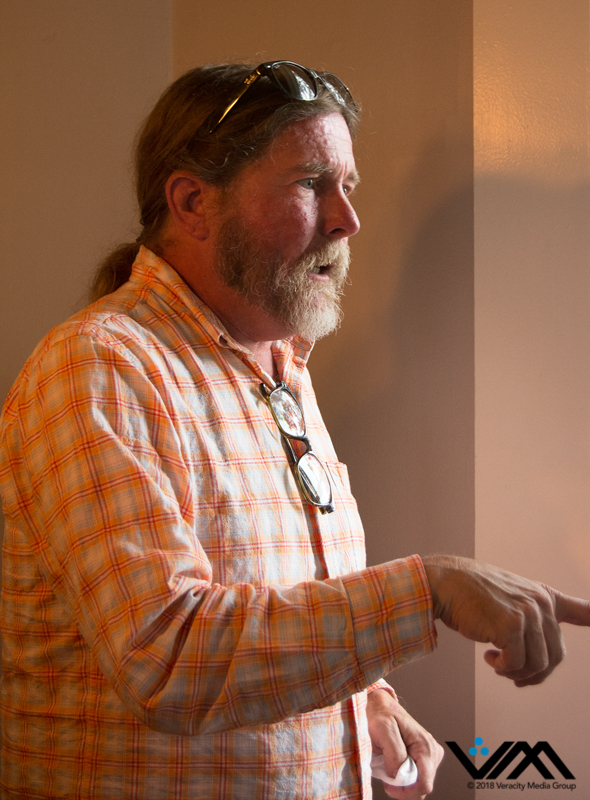 In 2013, Steve accepted the endowed Clemson position where he may once again actively lead research projects. One of the ways Steve's research tackles global hunger and nutrition is by using genetic analysis to identify strains of sorghum and other grains that produce more nutritious, higher-yield crops. In early October a short YouTube video announced a research project in this arena with Professor Bill Rooney of Texas A&M University, Steve's alma mater for his Masters in Agronomy. Within his talking points, Steve connected the dots between plants, soils, and global hunger issues. One of his research areas is determining what nutritional plants may thrive in food-deprived areas due to soil destruction for various reasons, including deforestation, unsustainable farming practices, and war/terrorism. The Upstate SC region is blessed with a variety of soil types and climate profiles; thus, the Upstate is an ideal location for plant and crop research that makes a global impact. An October 11 Clemson media release, Clemson researchers optimizing pulse and cereal crops for organic production in S.C., announces a nearly $1 million grant from the United States Department of Agriculture. The grant is to develop pulse and cereal grain crops that can be grown organically in South Carolina and to help South Carolina farmers benefit from growing these crops organically. Steve is the co-lead on the grant that begins in January 2019. Steve's presentation points spurred a lively discussion on the importance of healthy food in schools. Mary shared the success story of phasing in healthy food at Greenville schools, starting with the younger elementary students. As the students graduated to middle school, the healthy lunch program was implemented in the middle school. Integral to the successful program was nurturing the student palette to enjoy healthy food. Feed & Seed creates channels for local produce to enter the school food procurement systems, benefiting local farm economies and providing students with fresher, nutrient-rich produce. During Steve's session, Mushroom Mountain Owner & CEO Olga Cotter joined the group along Tradd and their beautiful daughter Heidi. The timing was perfect for Olga give her perspective on the healthy food discussion in-process. The Ei FB album, An Exploration of Fungi, Soil Health & World Hunger, gives a pictorial recap of the empowering day. Thank you to Veracity Media Group for documenting the day with still photos and video captures. The Ei Exploration of Fungi, Soil Health, and World Hunger laid the groundwork for a diverse group of industry experts and leaders to work together on crafting solutions for the many challenges facing life on planet Earth. Collective action is incredibly more powerful and effective than individual action. Stay tuned as a new chapter in healing the planet is unfolding. Nat Bradford – Founder of Eco Art based on the principles of creativity & stewardship to nurture holistic sustainable landscape architecture; Founder of Watermelons for Water a philanthropic cause funded by the proceeds from their watermelon harvest; maintains the breedline of the 170-year old family heirloom, the Bradford watermelon. Tradd Cotter – Founder & Owner of Mushroom Mountain, renowned fungi expert; works closely with Clemson Microbiology Department. Holly Elmore – Founder & CEO of Elemental Impact, a national non-profit focused on soil health; photographer and photojournalist; passionate about the soil & water microbial communities. Mary Hipp - Feed & Seed Chair; works in the nonprofit sector as a board member, volunteer, and consultant with a focus on arts, environment, food access, and Great Danes. 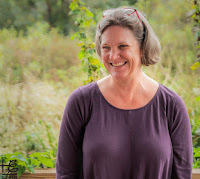 Kathy Kellogg Johnson – Kellogg Garden Products Chair & Director of Sustainability; nearly 100-years strong, family-owned KGP is a leader in 100% organic gardening products, including soils, compost & beneficial insects; Kathy is happy to learn and hang with soil aficionados. Joel Kimmons, Ph.D. – CDC Nutrition Scientist; wrote the federal foodservice guidelines for federal facilities used by the feds, states, and private industry; created www.fitwel.org a healthy building program recognized as one of the top ten world start-ups in 2017; in 2008 -2010 brought Alice Waters, Michael Pollan, Carlo Petrini, Michel Nishcan and others in the food movement to the CDC for multiple-event programs in partnership with Georgia Organics or other local groups; grew up on an amazing regenerative farm in TN known as Moonshadow. Stephen Kresovich, Ph.D. - Clemson University College of Agriculture, Forestry and Life Sciences Robert and Lois Coker Trustees Endowed Chair of Genetics in the Department of Genetics and Biochemistry and the Department of Plant and Environmental Sciences. 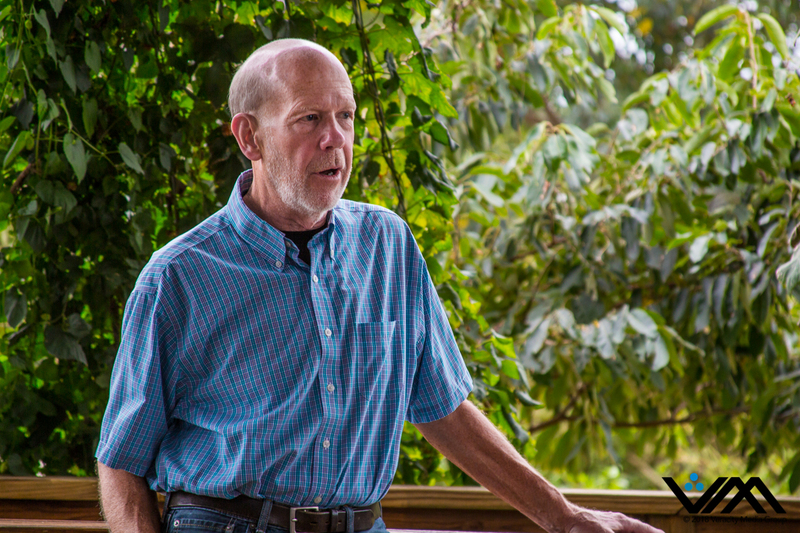 Jim Lanier – Founder of Earth Farms, a pioneer food waste composting facility in Charlotte; sold Earth Farms in 2016; knowledgeable of and passionate about soil health; participates in missionary work in Central & South America. 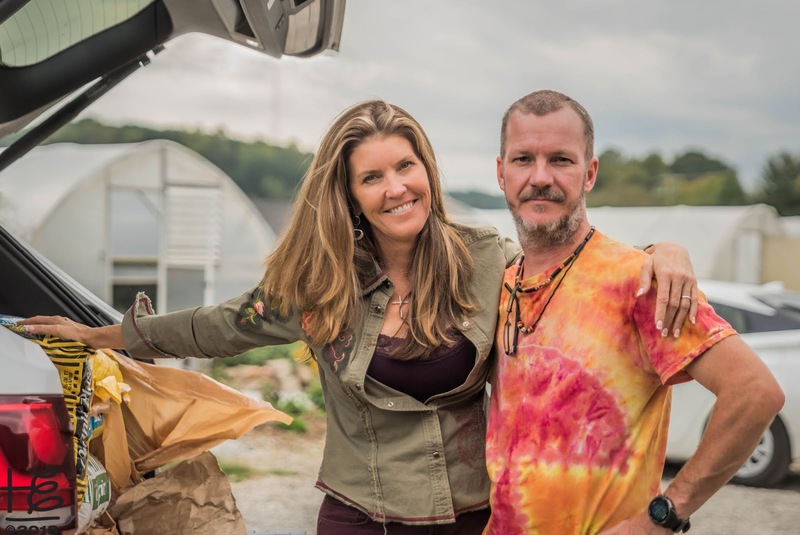 Mike McGirr – Founder & Executive Director of Feed & Seed; back in 2008 was Laura Turner Seydel’s private chef; leading a regenerative & food resilience movement in Upstate SC. Morgan Rhodes – Veracity Media Group Senior Contributing Producer; an award-winning filmmaker and owner of Journey Blue Media, which provides high-end photo and video documentary tools that strengthen storytelling. Laura Turner Seydel – Captain Planet Foundation Chair, Turner Foundation Board Member, Ted Turner’s eldest daughter, environmental activist. Nancy Suttles - Veracity Media Group Founder & Chief Creative Officer; independent multimedia content developer and publisher; Co-Founder / Publisher of Southern Farm & Garden. Currently developing a proprietary innovative platform for an independent global media company. Jonathan Tescher - Program Manager for CREATE, a small food and agriculture business incubator operated in partnership between Clark Atlanta University and the Russell Center for Innovation and Entrepreneurship; started the East Atlanta Village Farmers Market; co-founded Community Farmers Markets, an organization that manages six farmers markets across Atlanta; served as the first Farmer Services Coordinator for Georgia Organics. Tim Trefzer - Ei Regenerative Facilities Initiative Chair and Georgia World Congress Center Authority Director of Sustainability; interested in exploring corporate campus regenerative landscape practices, mainly for 20-acre Olympic Centennial Park. Robert Witcher – Veracity Media Group Chief Operating Officer; expertise in logistics, business strategy, analytics, finance, and HR; recent UPS executive retiree with 44 years tenure.